What better way to bring in the New Year than with some images from a beautiful wedding that I am honoured to have been a part of from the end of last summer. 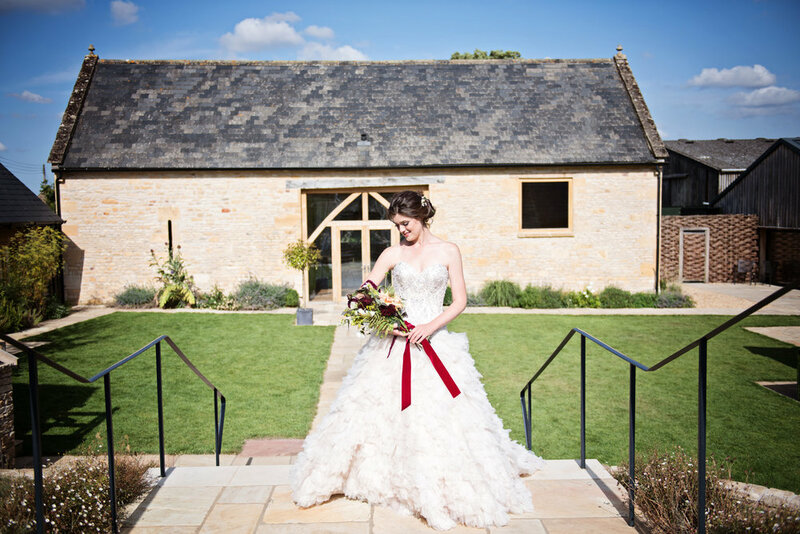 Set in the beautiful venue of Cripps Barn, which is in the heart of the Cotswolds. 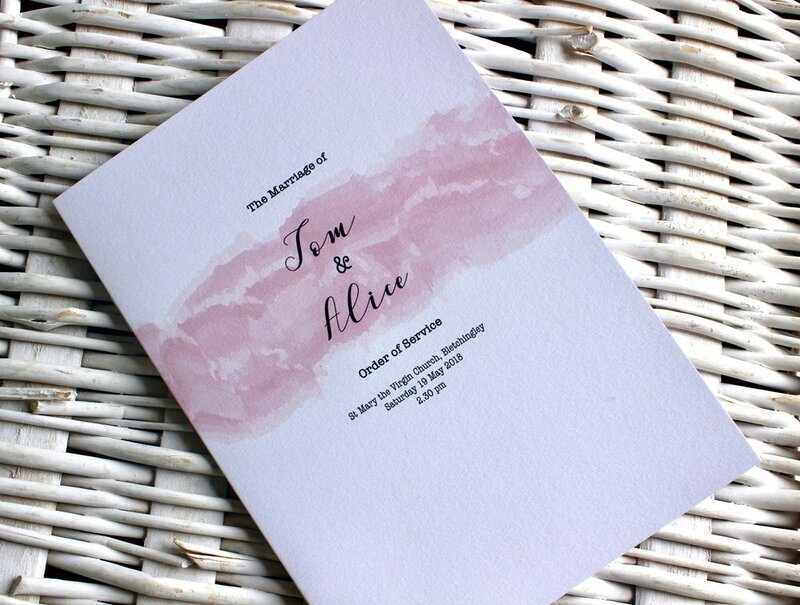 It has a sense of rustic, elegant charm about it in which I wanted to capture in the stationery I created for this wonderful couple getting married. Nicole and Chris were so great in the sense that they totally trusted my opinion and thus gave me the creative freedom to design all of their signage in which we printed onto stylish clear perspex. 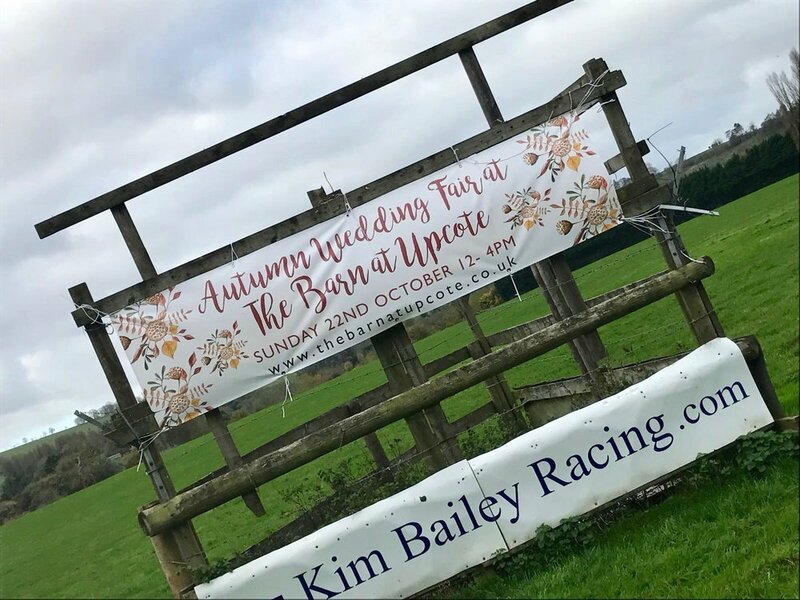 I wanted all the signs to be in keeping with everything else they had planned for the Big Day and also to enhance that sense of luxury yet rural nature. 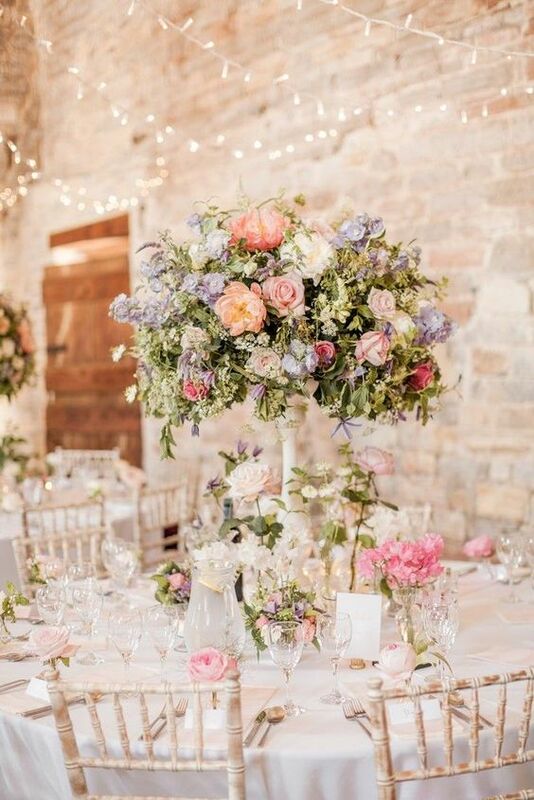 There’s nothing I love more than receiving the official photos from the wedding day itself because it puts what I do into context; as I only ever see it in my studio and not in situ, surrounded by everything else that helps to make the day so magical. I also love seeing how happy my clients are and that’s what it’s all about! 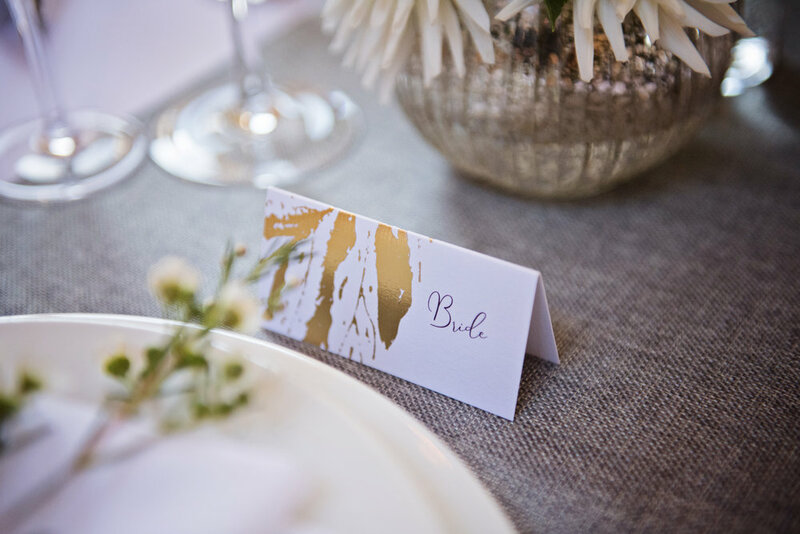 All photo credits go to, Jess Reeve Photography- and what a wonderful job too! Congratulations Nicole & Chris and best wishes for the future! 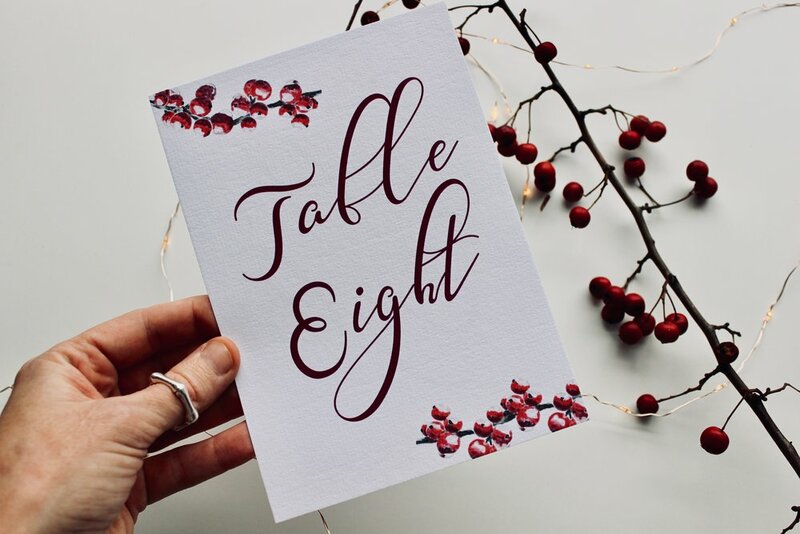 What with the lead up to Christmas and with the ‘wrapping’ up of the year, it seemed very apt to end my stream of blog posts on a recent winter/ Christmas inspired stationery suite. 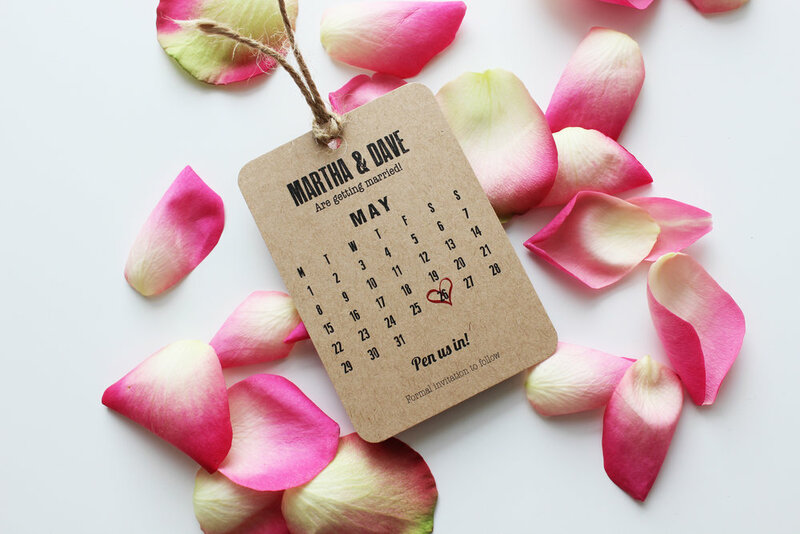 It was an absolute delight to work on this suite from the very beginning, starting with their Save the Dates. 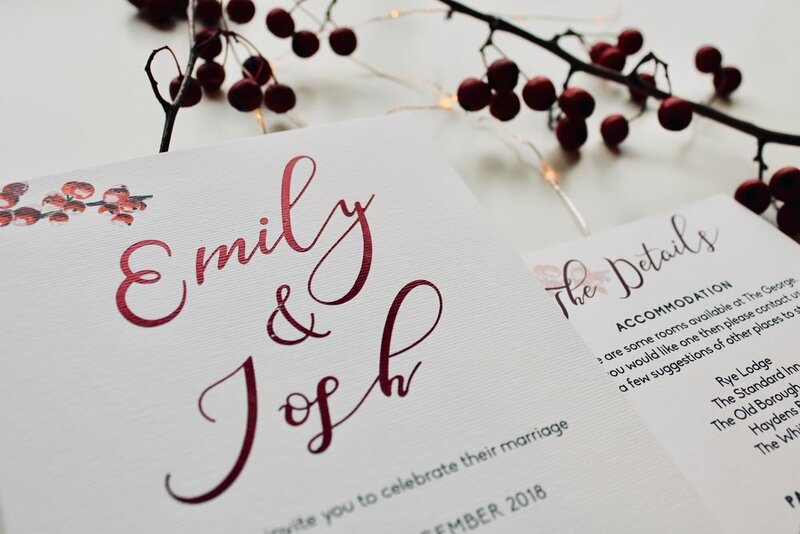 We then worked on their invitations, in which we used a burgundy foil for their names to create that luxurious feel to them. 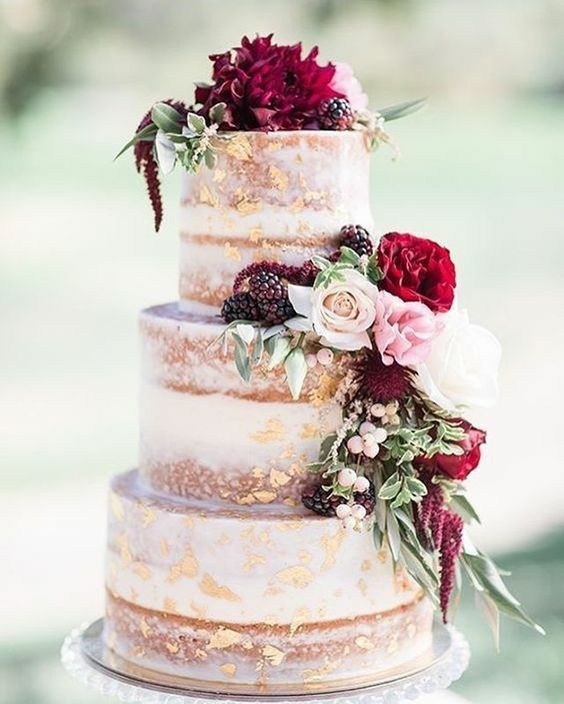 As you will see, their theme was very much focused around the red winter berries that you find at this time of the year. These hand painted watercolour berries feature throughout all the stationery and makes everything all lovely, consistent and in keeping with each other. 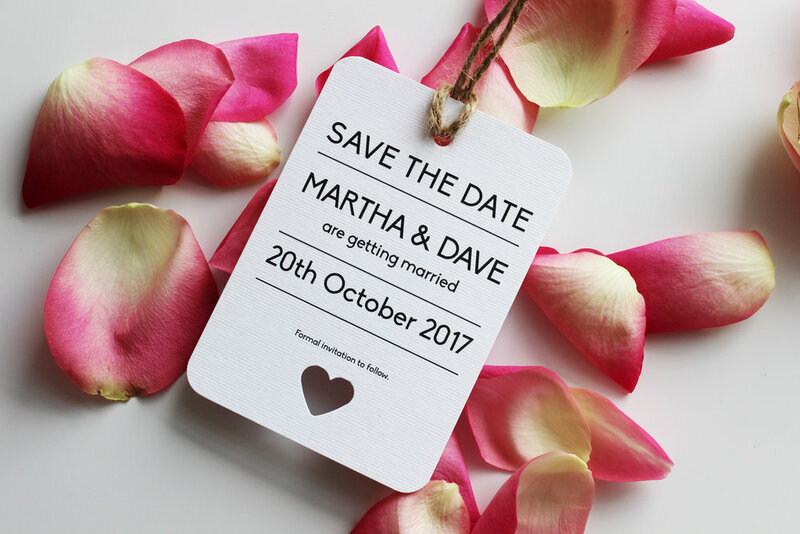 Stationery items included: Save the Dates, Invitations, Table Plan, Table numbers and place names. 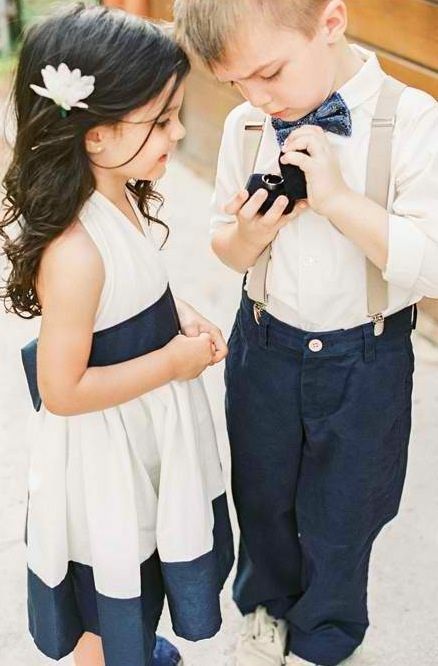 I cannot wait to see the photos from the Big Day itself- I bet everything looked just so magical and beautiful. A huge congratulations to Emily on Josh on their marriage, wishing you all the very best for the future. 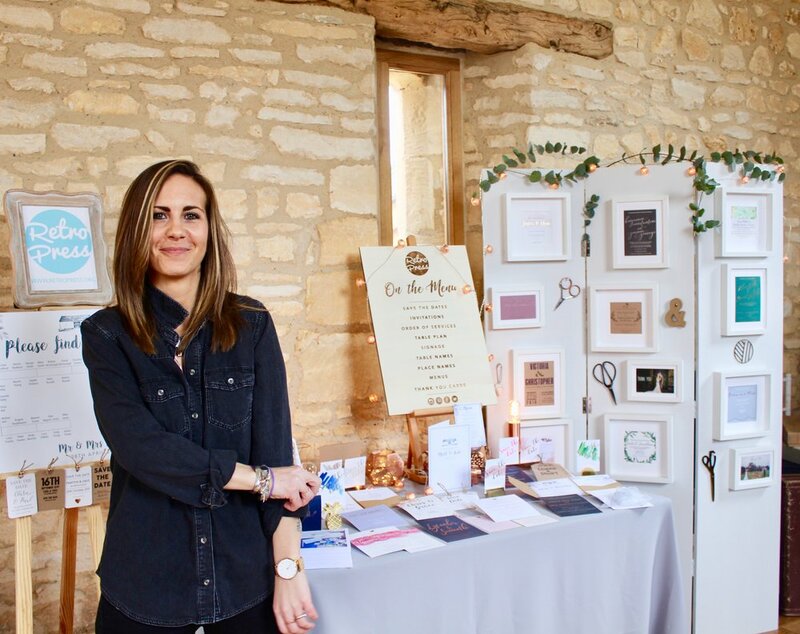 If it’s that time for you to start thinking about your wedding stationery, then don’t hesitate to get in touch with your ideas and wishes, I’d absolutely love to hear from you. I will be taking little break from Friday 21st December until Wednesday 2nd January and I will be answering all emails upon my return. 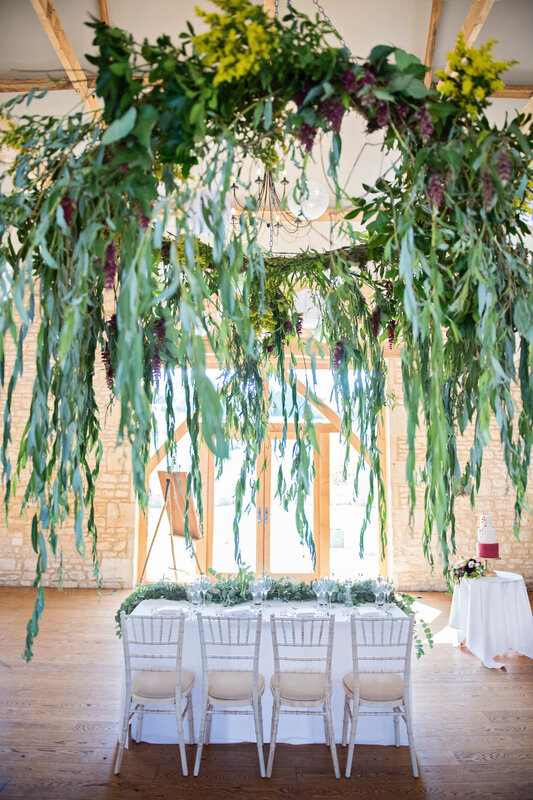 Last week, I had the pleasure of working on a wedding photoshoot at the beautiful venue of Upcote Barn with an amazing list of other local Cotswold suppliers (please find at the end of article). Luckily, we had beautiful weather and it was the perfect setting for what we wanted. 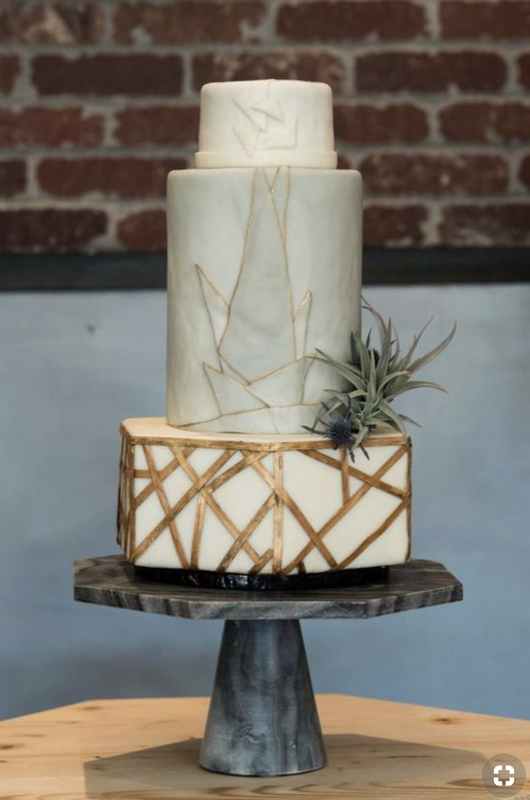 Art Deco as a theme for your wedding day is one that will never date... Everything about it is classy, stylish and there are so many ways that you can make it unique to you. I personally love all the dark, moody, rich colours that are associated with the Art Deco period, along with the structured, geometric shapes, patterns and beautiful textures. 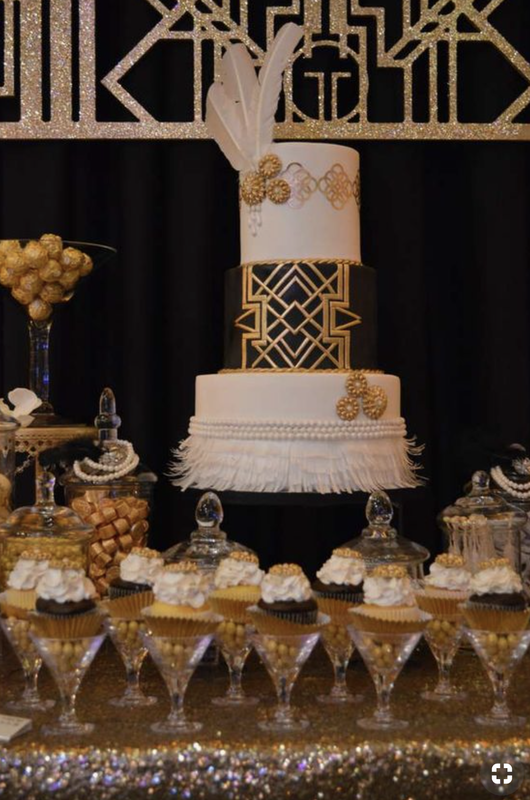 There are a lot of decadent features, lavish golds and it just screams luxury, elegance and extravagance! And here is a very recent Bespoke Save the Date card that I have designed and printed for a couple. The background is a marble wash of navy blue, with certain shapes darker than others, which really helps to create depth and texture. All the gold you see in these have been foiled to give that added WOW factor. 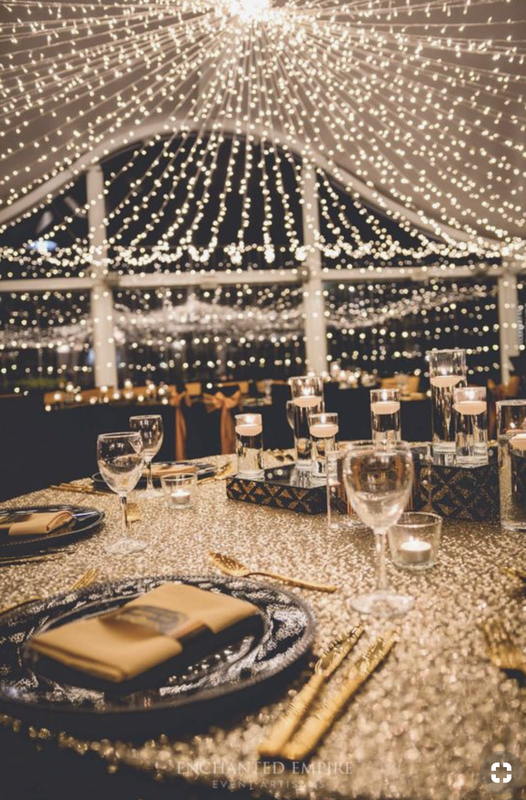 The gold foil is amazing when it catches certain lights and it's a definitely a luxury finish that your guests are going to be impressed with. 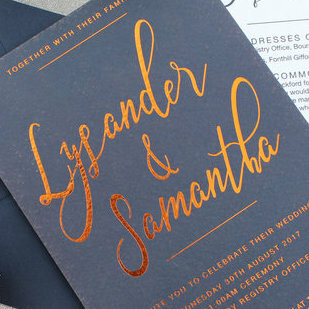 This design is totally unique to Derynn & George and I am just so so excited to create their invitations. 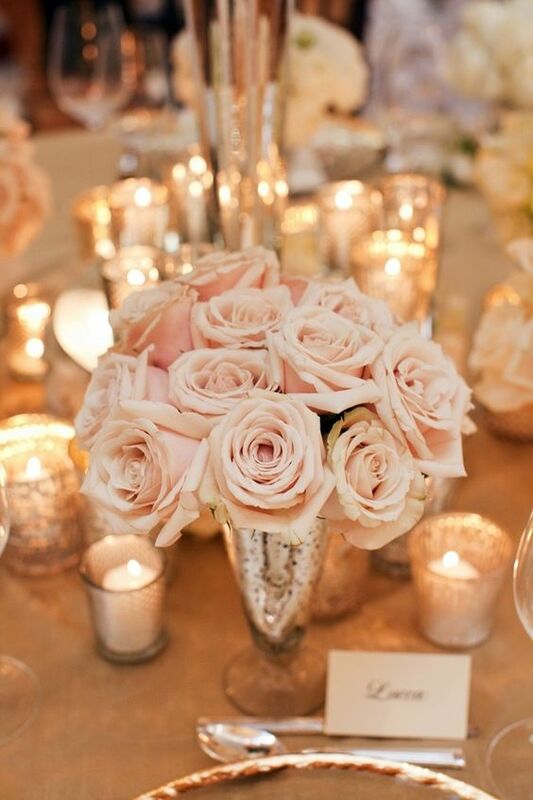 If you're thinking of going for an Art Deco themed wedding, then please do get in touch to discuss your ideas... I just love it! 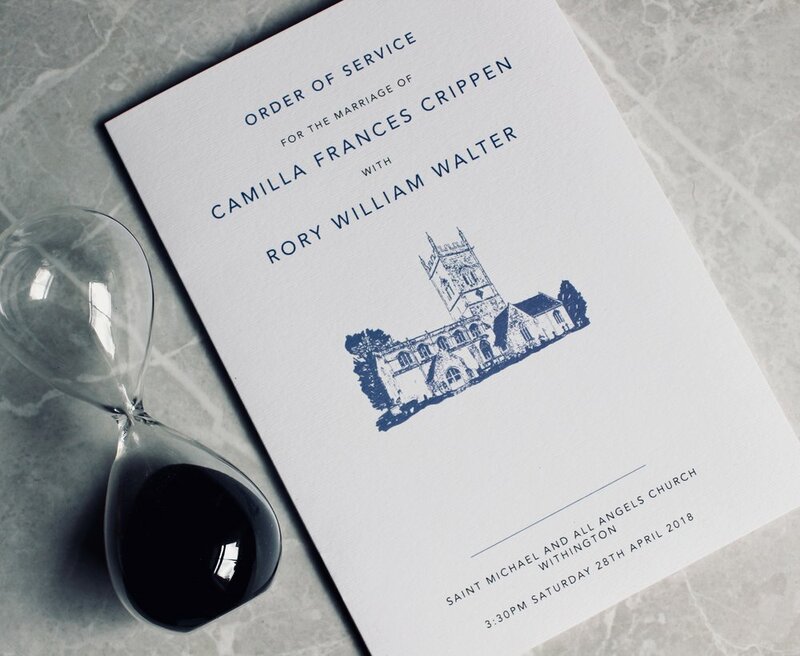 Gone are the days of boring, flimsy, poor quality Order of Service... Over the years, I have designed and created many different types of Order of Services. I get asked so many different questions about these stationery items and I find that many of my couples struggle to bring these together. My job, as with all the other stationery, is to make it as painless a process as possible, whilst of course, making them perfect for you. 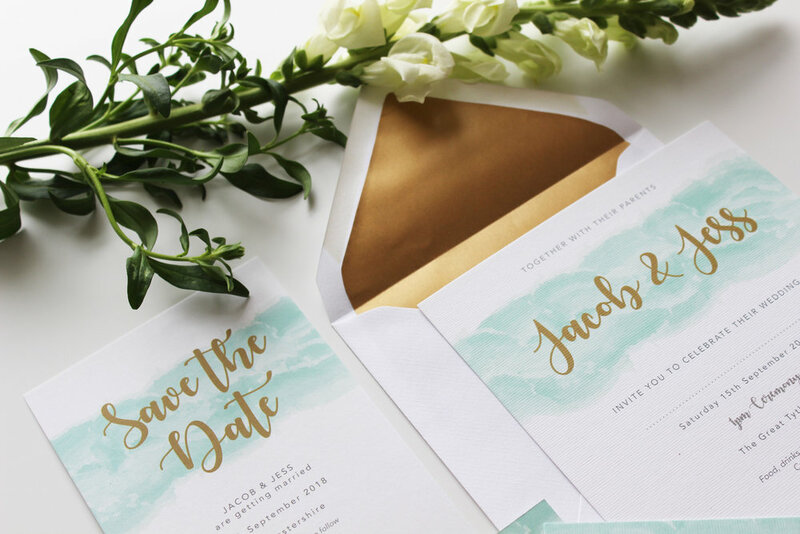 - Do you want them to be in the same design and style as your invitations? So the same colours, motifs, patterns, gold foiling, paper stock etc. - How much information are you going to have in them? Are they simply going to be timelines of the day or are they going to contain all the hymns, readings, etc. 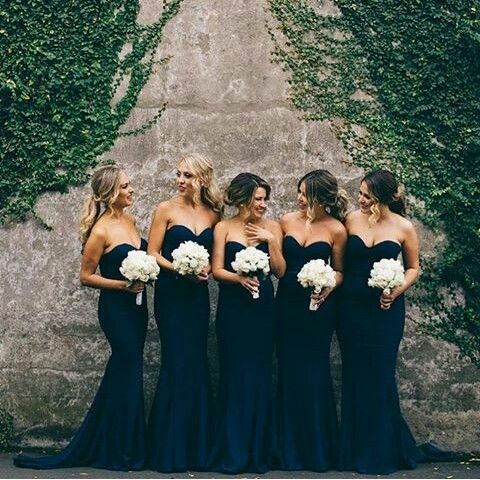 - Do you want to provide your guests with one per couple or one per person? A card, either A6 or A5 size. Single or double sided, depending upon how much information you need on them. This option is definitely one for couples that don't have much information to go on them in general. Folded card; a 4 page booklet. Again, I would suggest to go for this style if you don't have an abundance of information to go on them. An 8 page Booklet; which I find is the most popular option. With this style, you have an outer cover, which can be printed on all sides and then an insert sheet which is stapled in. These are great for when there is a lot of information- like having the hymns written out etc. 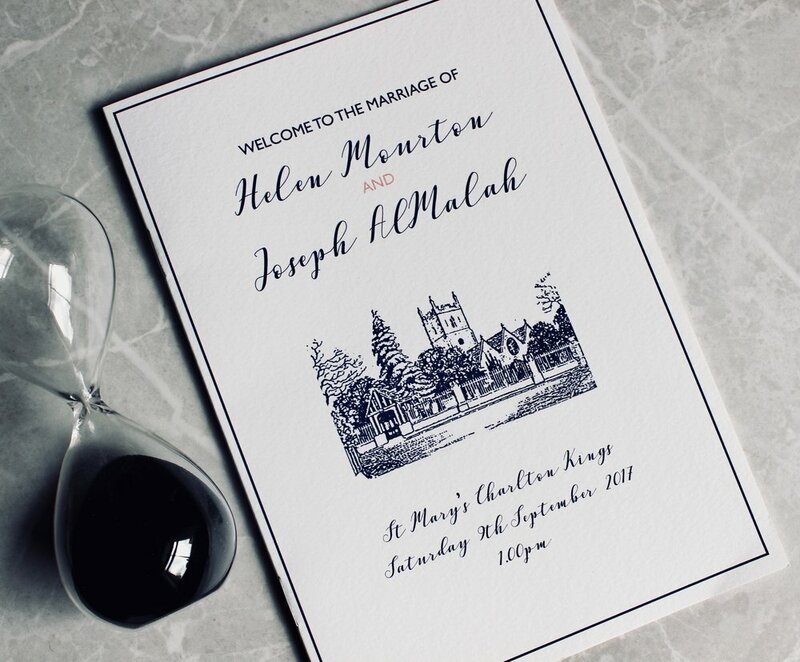 Most of my couples usually carry on their design from their invites to their Orders of Service, so including a motif, the same fonts, colours and overall vibe. Others like to include a sketch of the Church/ venue that they are getting married in. And sometimes, people want to go more traditional with them and keep them quite simple- so no patterns or illustrations. At the end of the day, it's up to you. It's a personal preference. 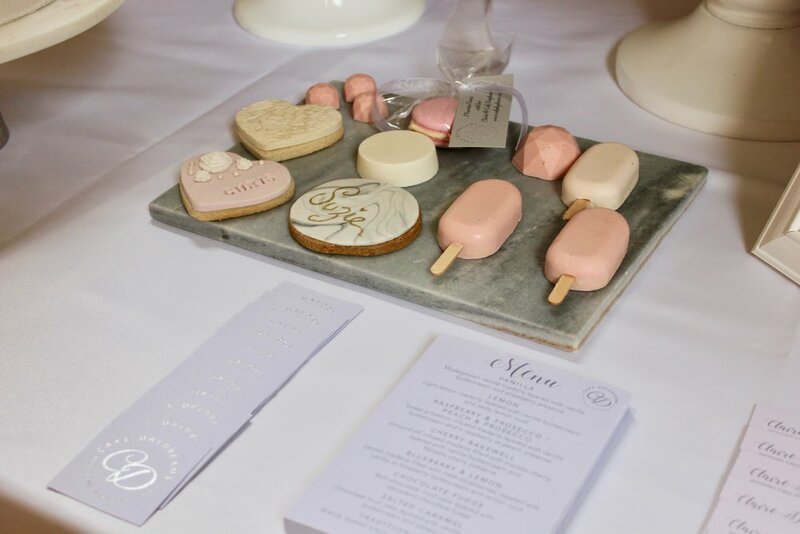 But these are so important to get right because your guests will naturally keep hold of them as a momento of your Big Day. Have a look below at just a selection of past Orders... Please do get in touch if you have any questions and need any help with sorting yours out. 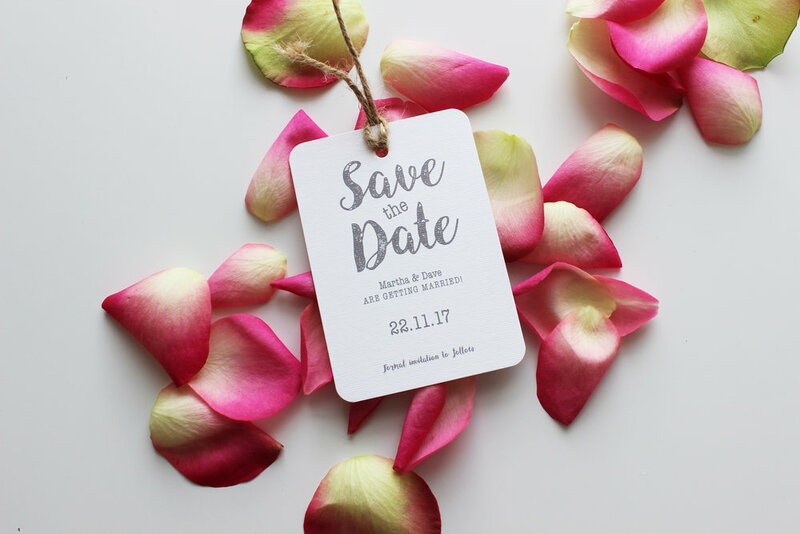 If you're getting married in the Autumn of this year (so from September onwards), I would suggest that you need to get thinking about your wedding invitations (if you haven't already). 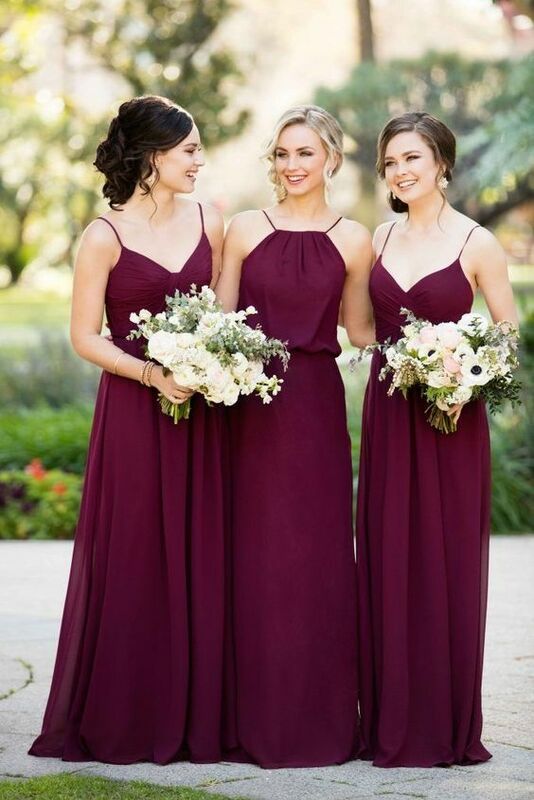 It's definitely not too late, but from experience, I would recommend sending them out 2-3 months before the Big Day itself. 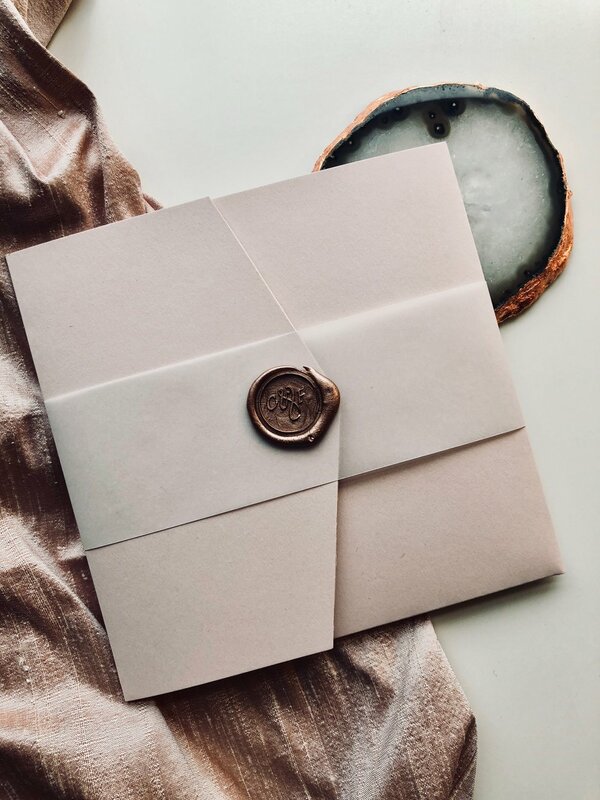 At the moment, I am working on lots of invitations for this time of the year as well as all the day stationery for couples getting married in the summer. It's all go! 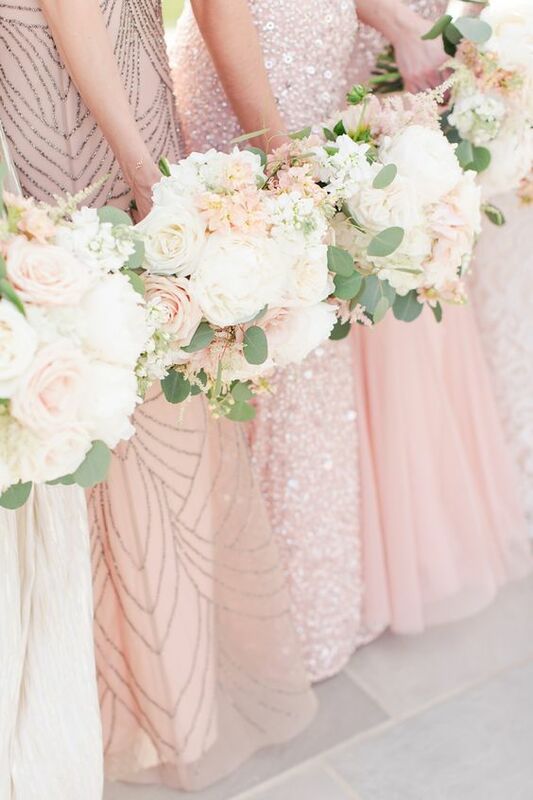 And if you're looking for some more inspiration for the Big Day itself, I have sieved through a lot of images on Pinterest and got a collation of some of my favourite styling ideas here... 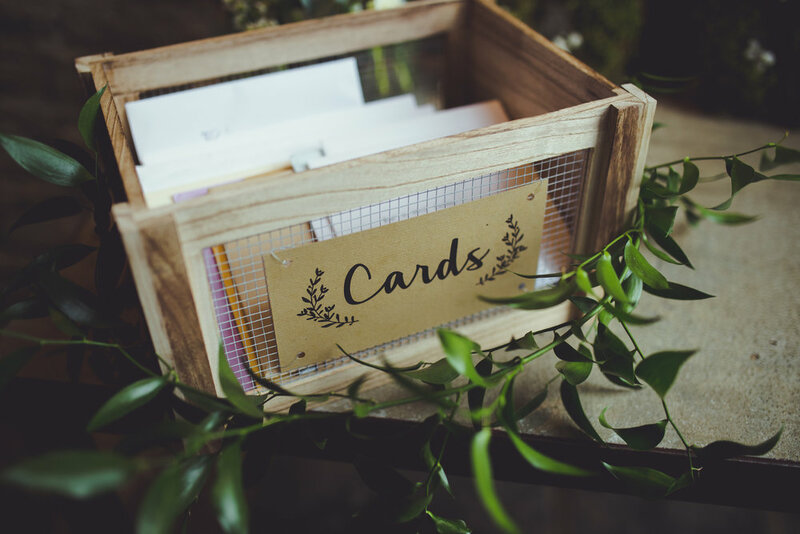 Please do get in touch with your ideas for your wedding stationery, be it invitations or on the day stationery, I cannot wait to hear from you! There's nothing better than receiving the official photographs from a wedding that you've been so involved in... 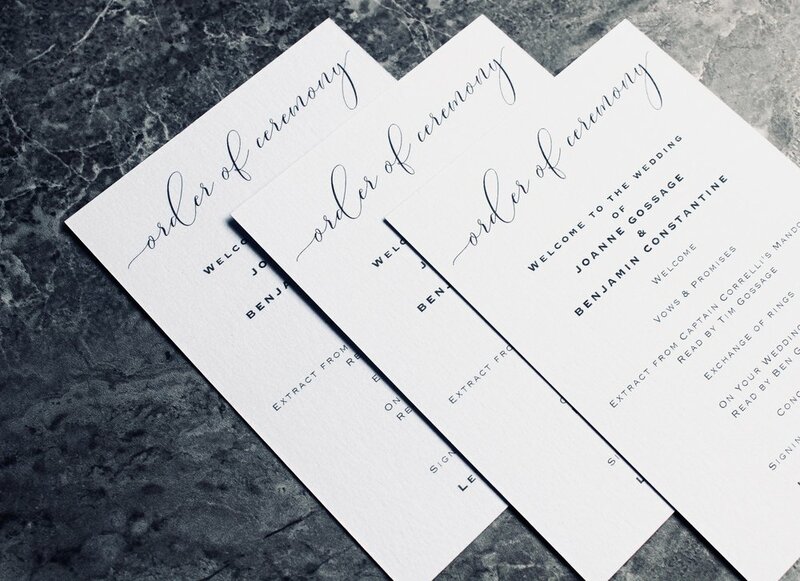 I was very excited about these ones in particular as I had worked closely with the couple from the start (on their invitations) and then I went onto create their unique stationery for the Big Day itself. 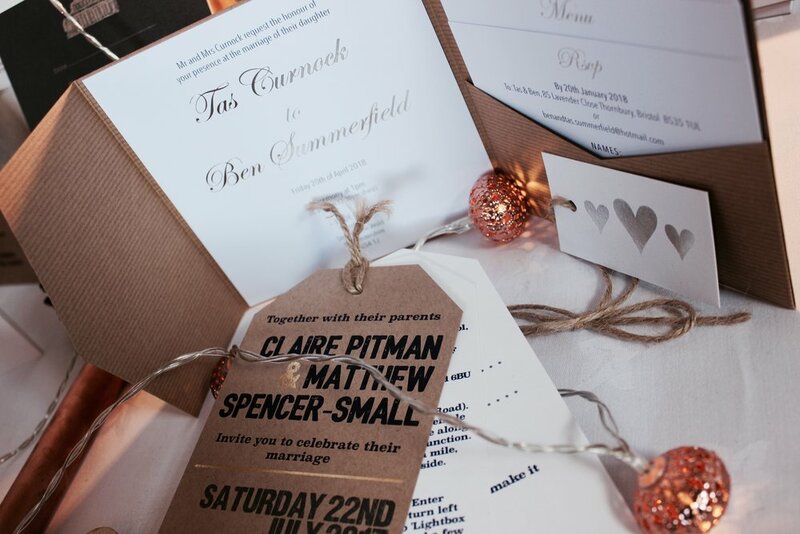 I just LOVE seeing how everything comes together- it's like a jigsaw puzzle and the stationery being one of the many pieces that helps make this day so special. 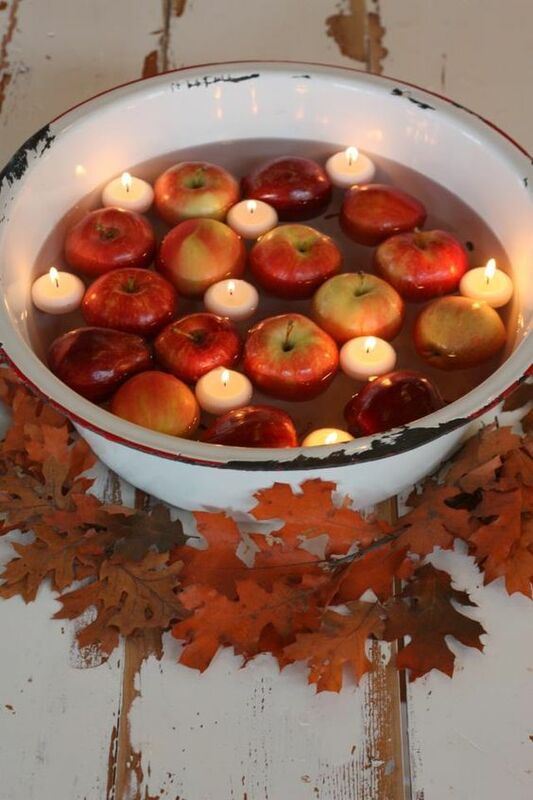 How amazing?! Everything looks just perfect and I am so happy to have been a part of it all. 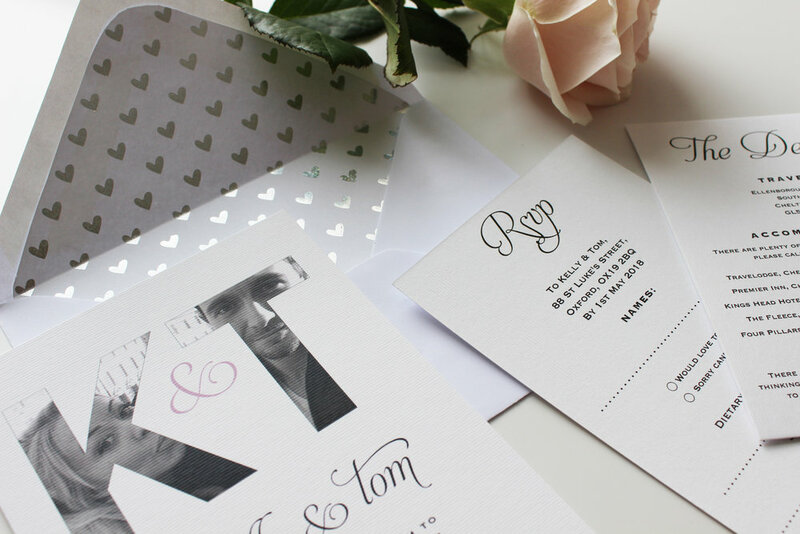 Now, here are some photo's of the wedding stationery that I created for this wonderful couple. 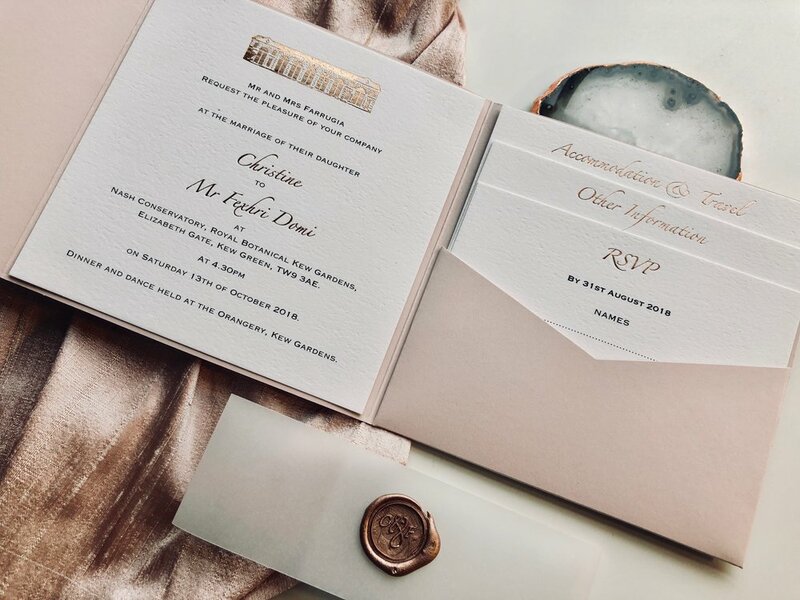 I designed everything in keeping with their invitations, so everything is on brown kraft card and everything has the same feel and look as the invites did. 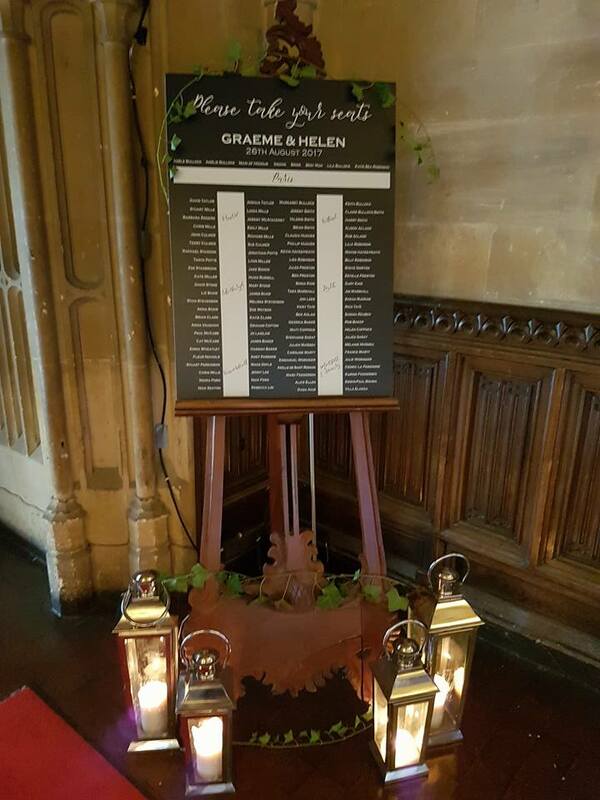 The Table Plan and Order of the Day sign are both laser engraved on wood, so just enhancing the rustic tones of the day, but in an elegant, beautiful way. 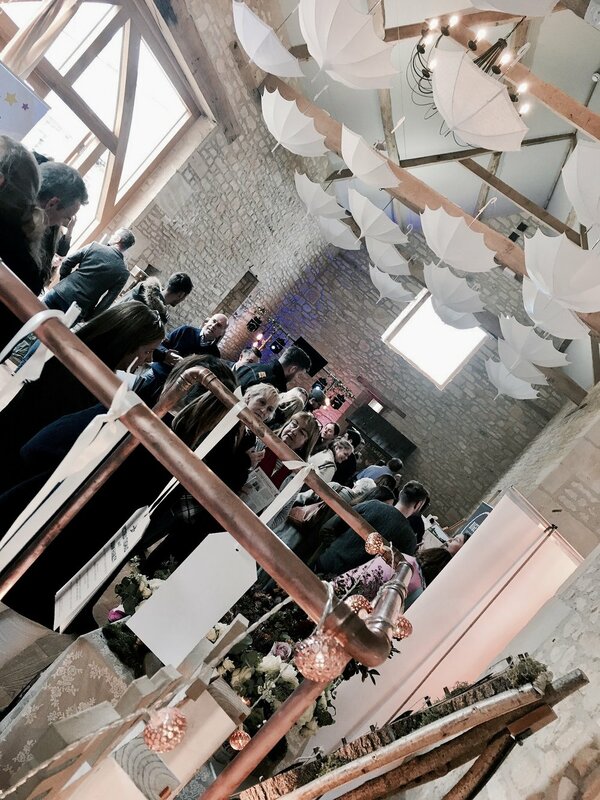 So I went to visit the beautiful new wedding venue that is Lapstone Barn last week. 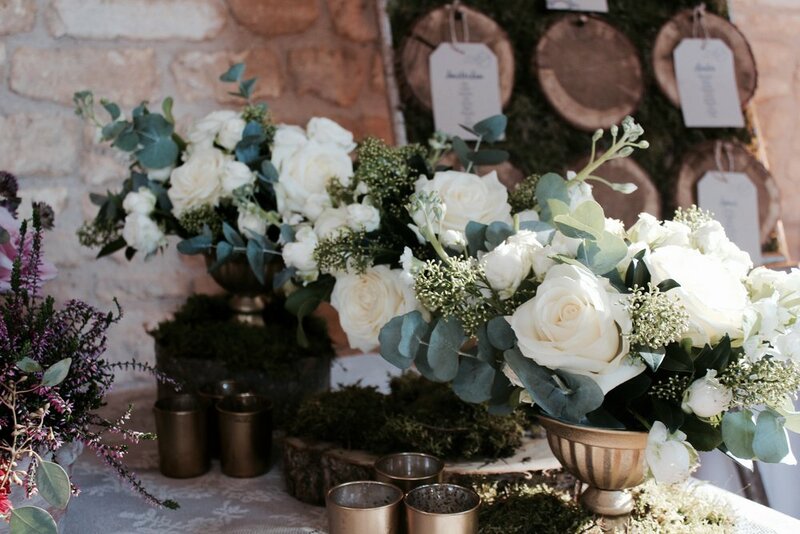 Based in Chipping Campden, surrounded by just the most idyllic, luscious green countryside; it makes for the most perfect Cotswold Wedding venue around. The drive up to it, in itself, was super impressive and instantly, upon arrival, I fell in love with the place straight away. 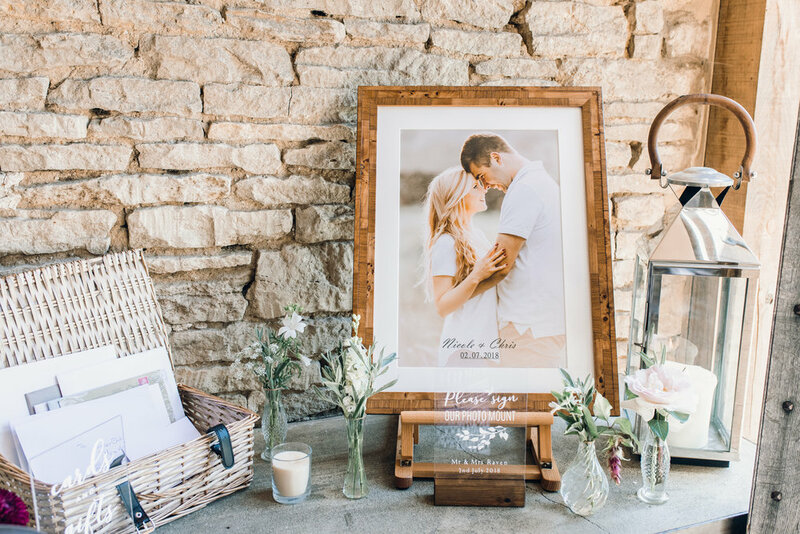 It's got a very cosy, warming vibe to it, with a very cute reception area before entering the most amazing space in which the ceremonies take place. 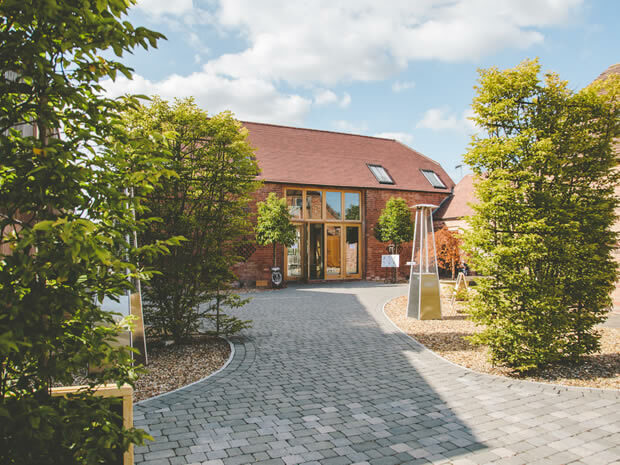 They can take up to 200 seated guests, for the ceremony and for the evening- a much larger capacity than most other barn venues. The thing that struck me the most about this barn in particular, was the light; it was exceptionally light throughout, which again, is quite unusual for this type of venue. I especially loved the old milking parlour that is now the dining/ evening space- the industrial yet country feel to it makes it so unique, vast and different. It even has it's own very cool bar area, with comfy armchairs and a log inspired fireplace - a perfect place to let your party feet have a rest! 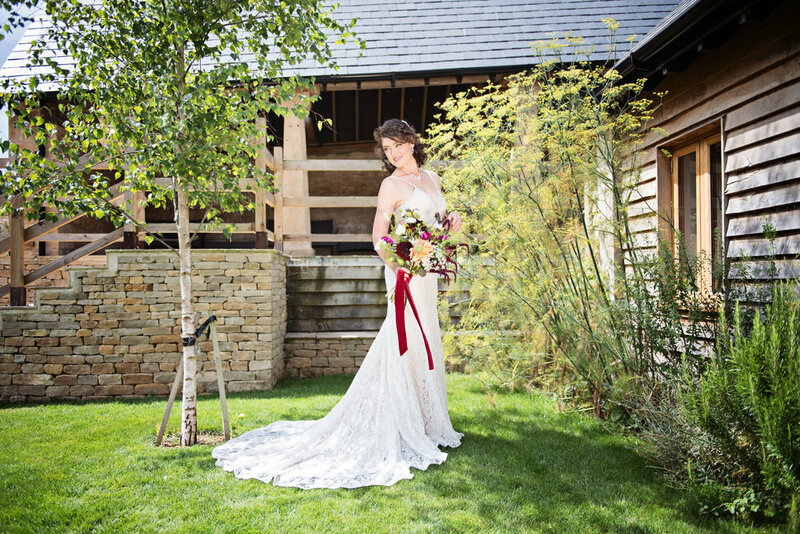 There's a fantastic courtyard in the middle of the barn, in which they can hold outside ceremonies... Amazing!! 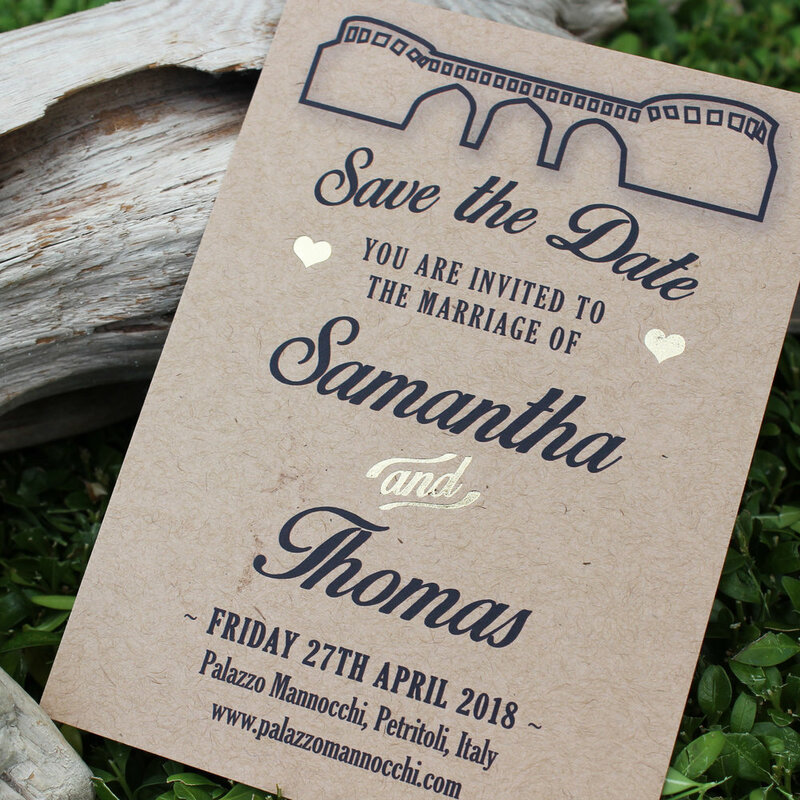 The Brown Kraft Travel Tag is definitely one of my favourite styles of invitations. 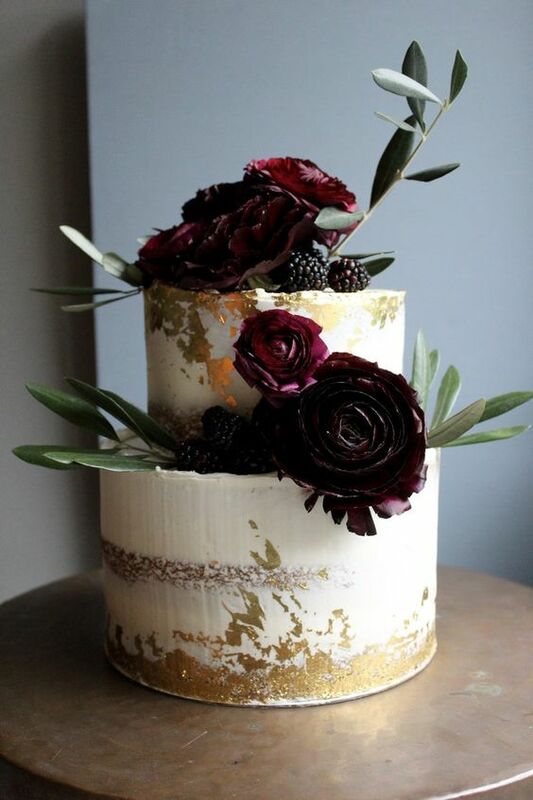 It's different, unique and enhances the rustic feel to your wedding. The design is unrestricted in the sense that you can go for something very modern (as in this post) or very traditional; the options are endless. 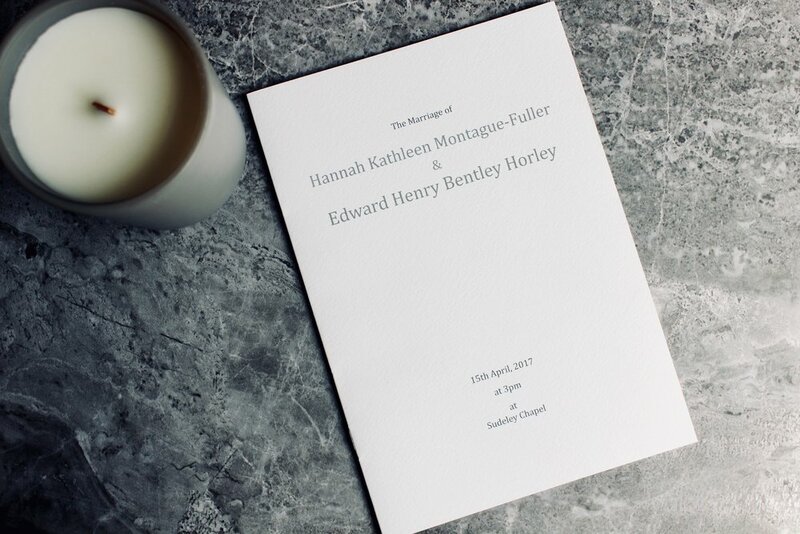 This blog post features the bespoke invitations for a couple who recently tied the knot along with their other on the day stationery items; their Place Names and Orders of Services. 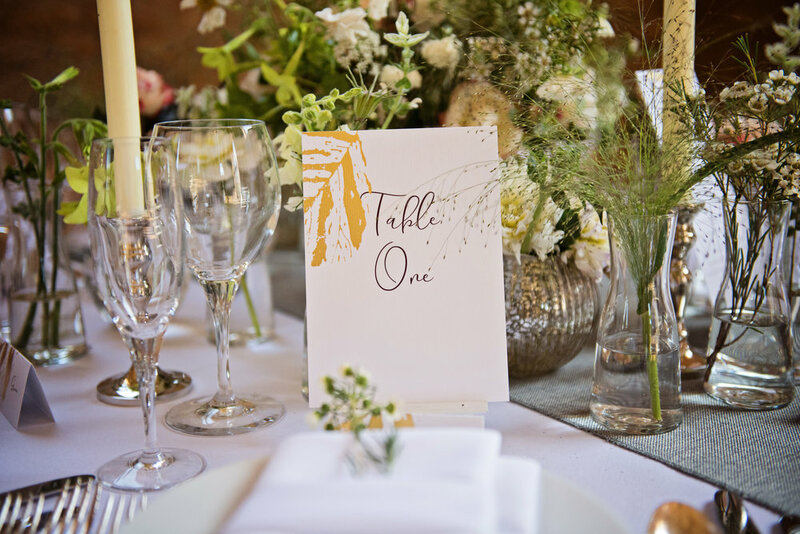 I also created their Table Plan and Table Numbers to match. 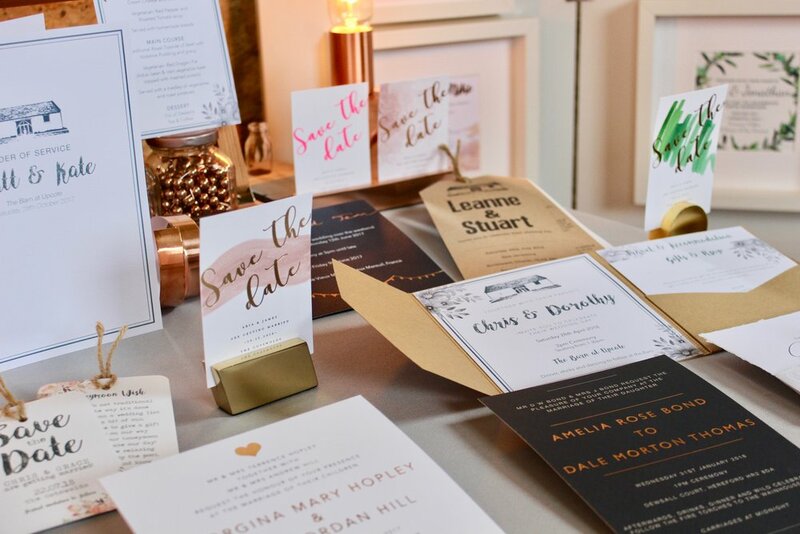 Lyn & Tim were had their reception at Prescott Speed Hill Climb, so they wanted all of their stationery to be themed around the iconic old racing cars. 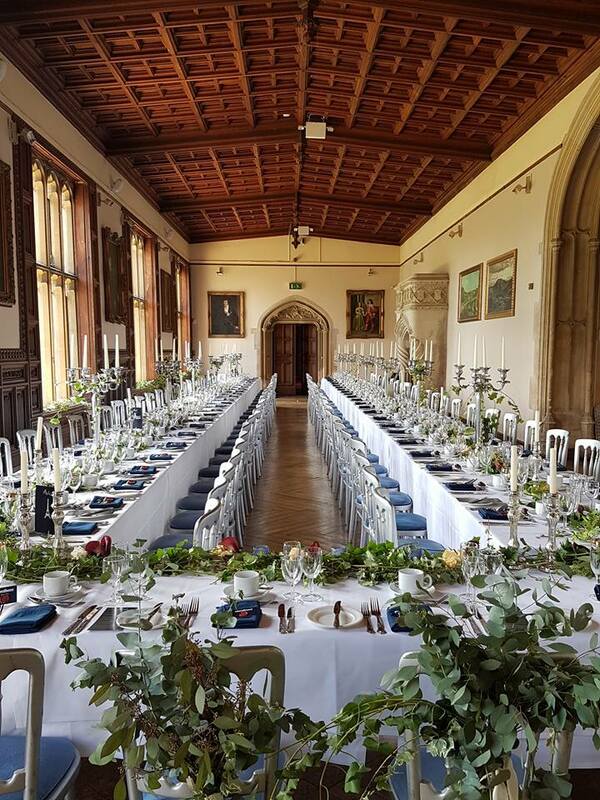 As you can see, everything is in keeping and all looked wonderful! It's in the little touches of detail that make all the difference. Don't hesitate to get in touch with your ideas for your invitations, I'm always excited to take on new challenges and new designs! 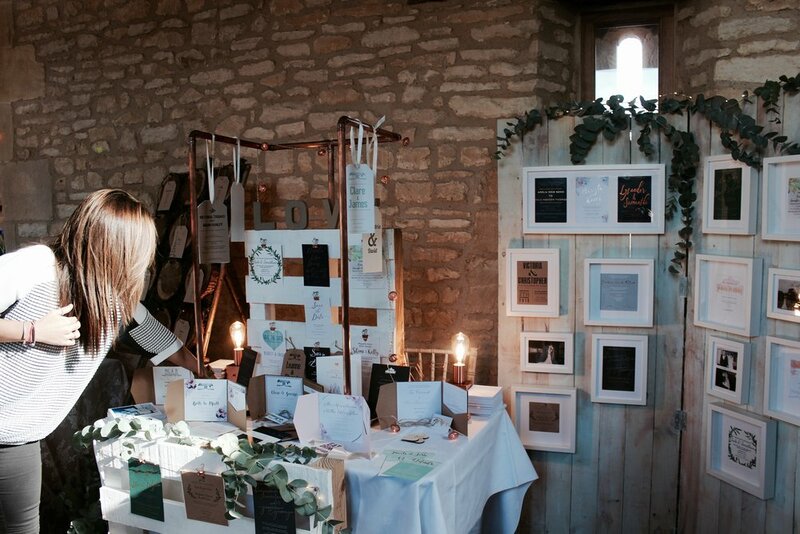 Taking part in The Upcote Wedding Fair is definitely a highlight of mine! The team that run the show and venue, Hannah, Jo & Andrew are just wonderful. 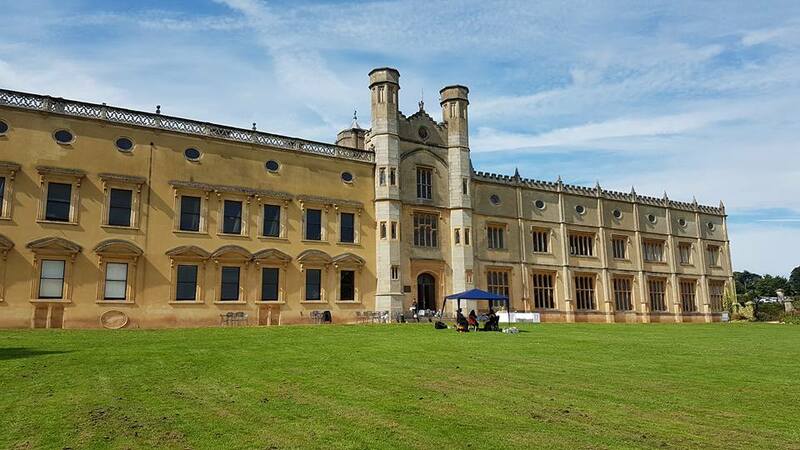 They put on such a great event for all involved; suppliers and guests alike; there's so much to see, so many friendly faces and just a great atmosphere all round. I absolutely love it! It's a great opportunity, not only to showcase my work, but its also a chance to meet lots of excited newly engaged couples. I think it's important when providing such a personal service to try and meet my clients face to face- this isn't always possible, but I like to do so when I can. 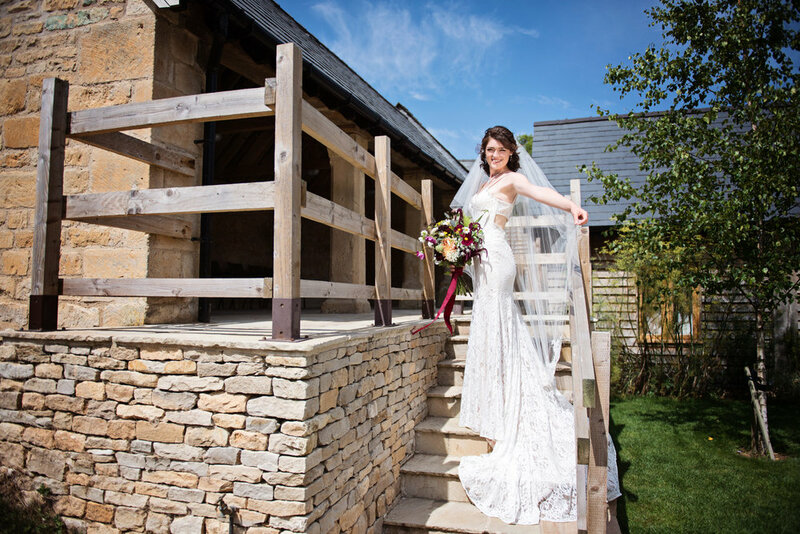 If you haven't yet chosen your venue and you're looking to get married in the beautiful Cotswolds, in an idyllic setting, in a barn type venue, then look no further. Go and see Hannah and the team for a look around and I'm sure you'll fall in love with Upcote just as much as I did upon my first viewing. 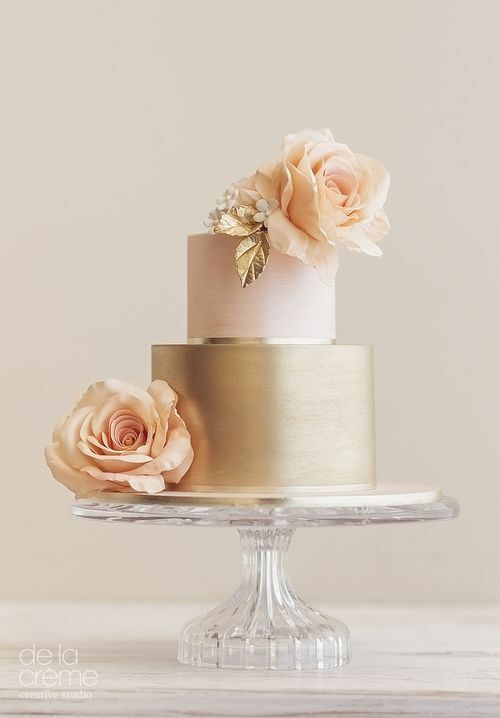 Have a look at a few pics below, including Wedding Cakes from the wonderful Claire at Cake Daydreams along with Wedding Flowers from the marvellous Jo from Aqua Flowers. 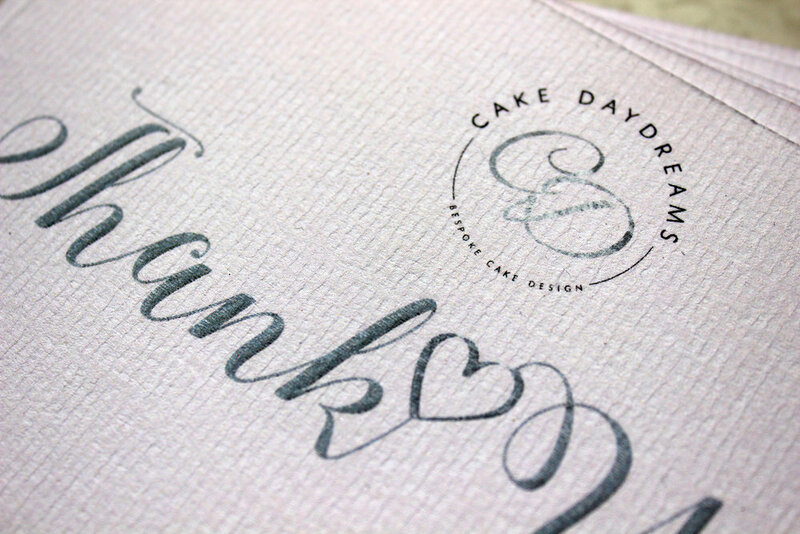 When the wonderful Claire from Cake Daydreams approached me and wanted some "new business stationery goodness", I jumped at the opportunity at creating her new business cards, thank you cards and also menu cards for her amazing cakes. We decided to go for the luxury finish of foiling for the business cards; silver on a light blush pink and silver on a light grey. 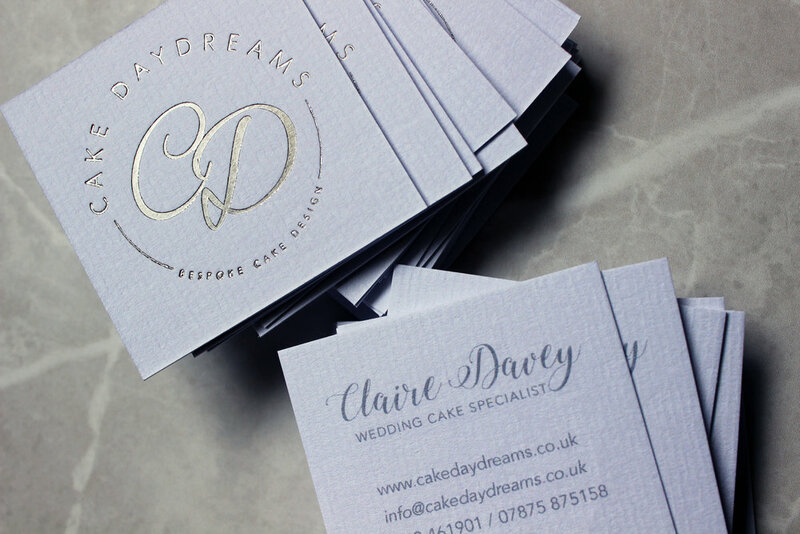 Instead of going for the standard size, Claire opted to go for square cards, which are a bit different and work very nicely with her logo. The Thank You cards and Menu cards are the same colour variants as the business cards, so everything matches beautifully. I designed everything in keeping and had lots of fun doing so! 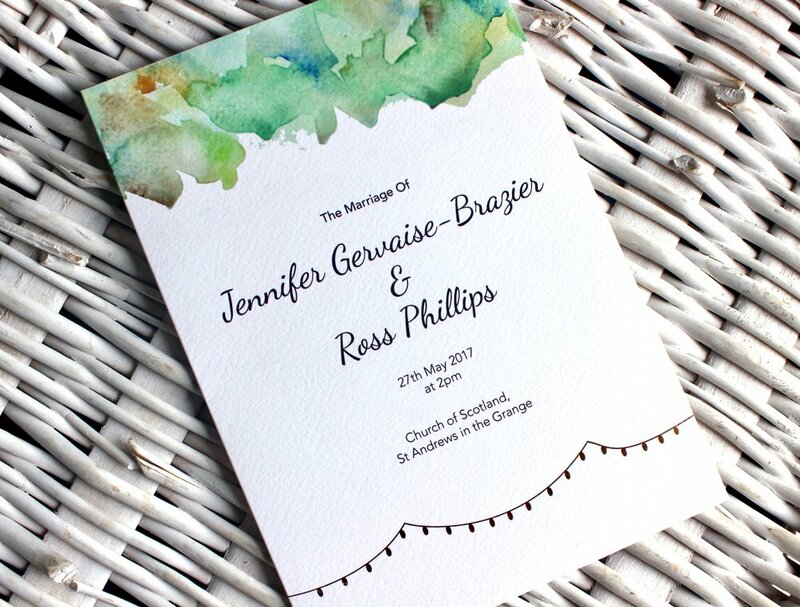 If you're looking to find a combination of rustic and beautifully elegant wedding invitations, then the kraft pocketfold style is perfect is right up your street. 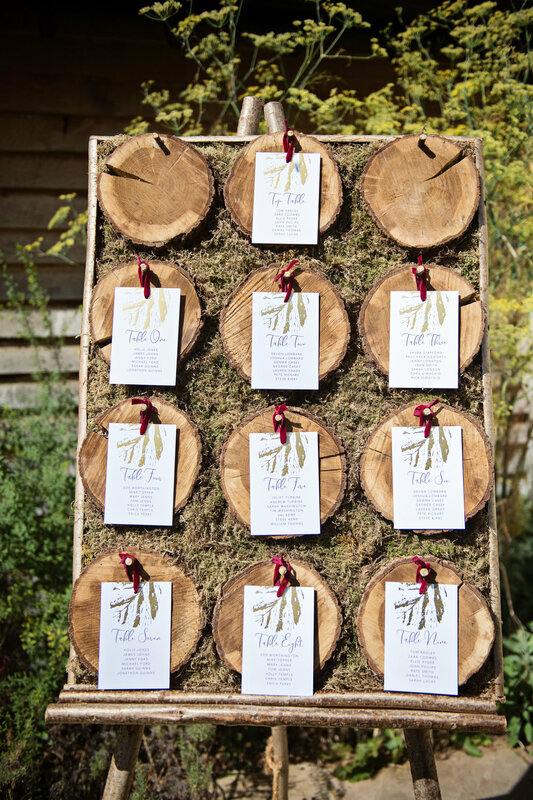 This type of invitation is both functional and stylish; it holds all your information sheets in one place (so there's no excuse from your guests that they've lost their RSVP slip !) 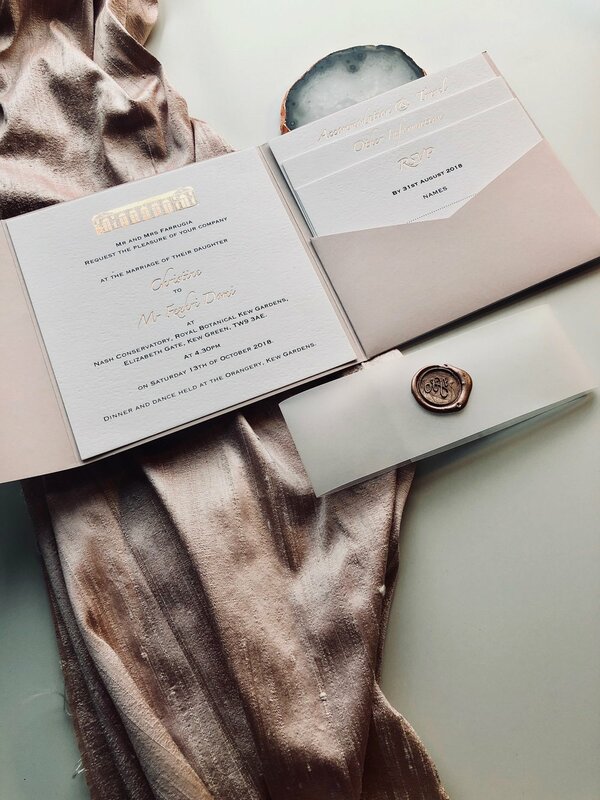 and the main invitation is the first thing you see when you open the envelope, so it needs to scream your theme and your vibe for the Big Day. 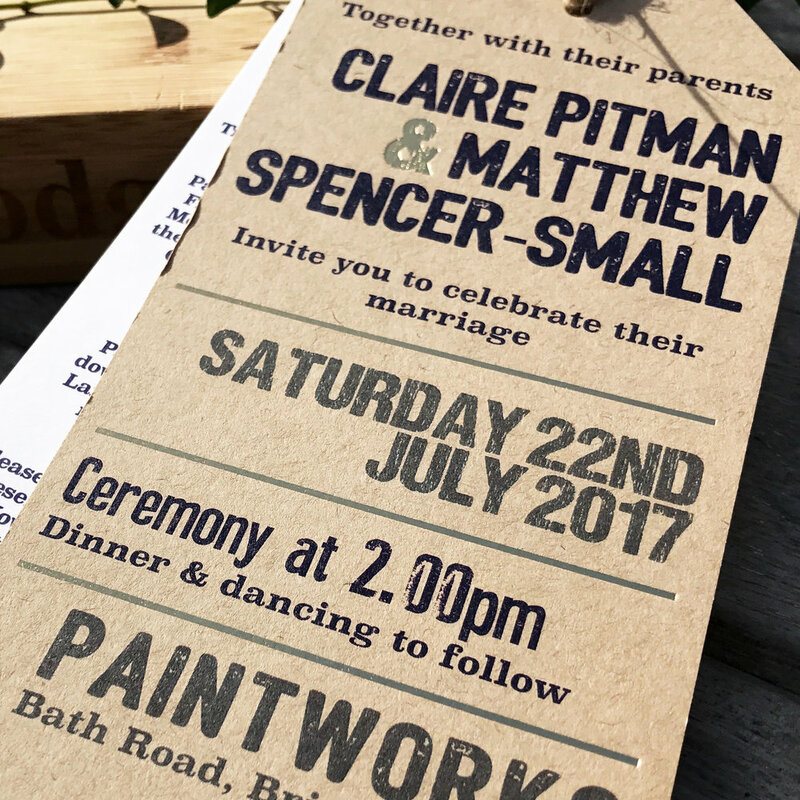 We would highly recommend this style of invitation if you are getting married in a rural area, the countryside- perfect for the Cotswolds, a barn and that sort of vibe. 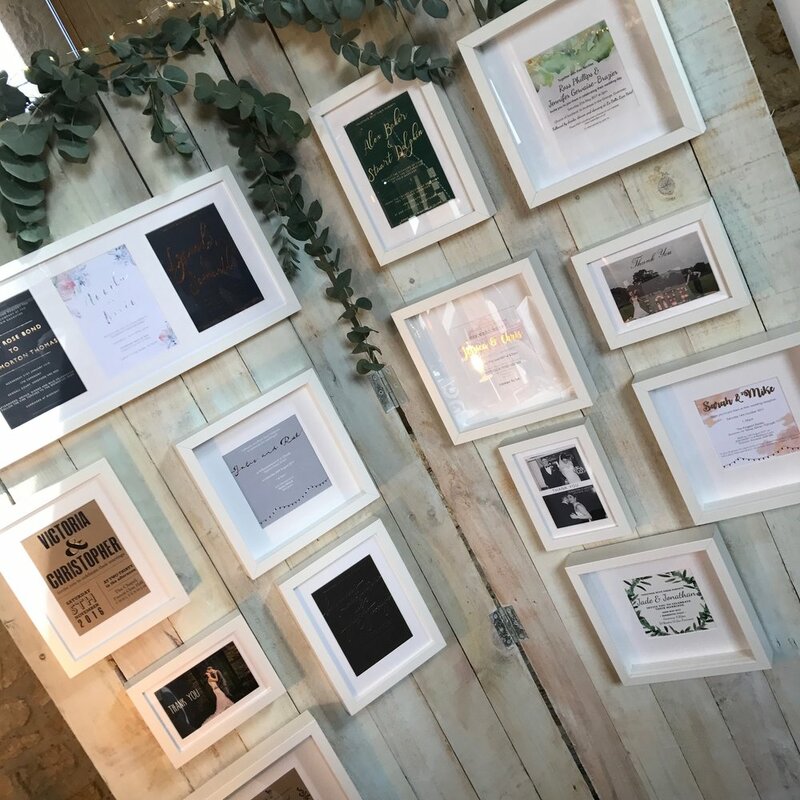 Please do get in touch if you've got an idea/ you don't have an idea/ you just want to discuss your perfect wedding invitations. There's nothing I love more than receiving photographs from the Wedding Day itself... After working closely with the couple from the start right up until the Big Day, seeing all the stationery in situ makes everything so real and it's so nice to see it working with all the other bits, like the wedding flowers, the table display and just the general vibe. 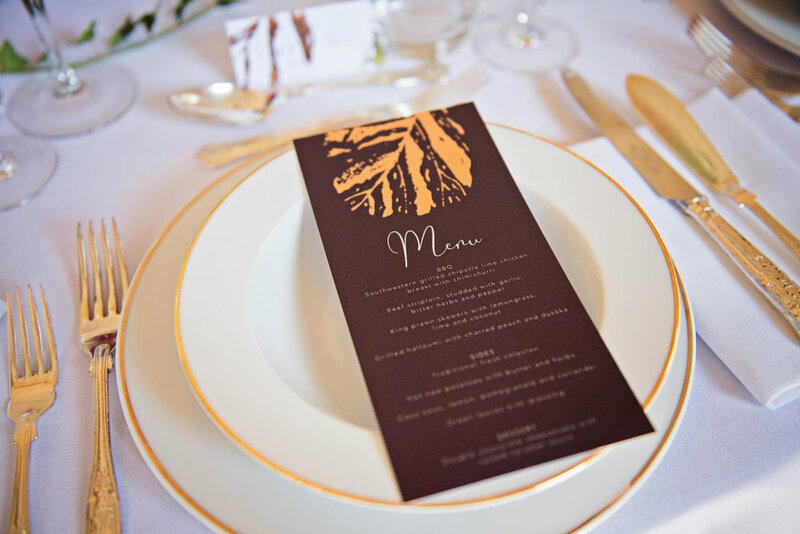 For the Wedding Stationery on the day, the couple wanted to continue the design through to everything; from the Menus, Table Names, Place Names to the Table Plan. Everything was in keeping, consistent and beautiful. 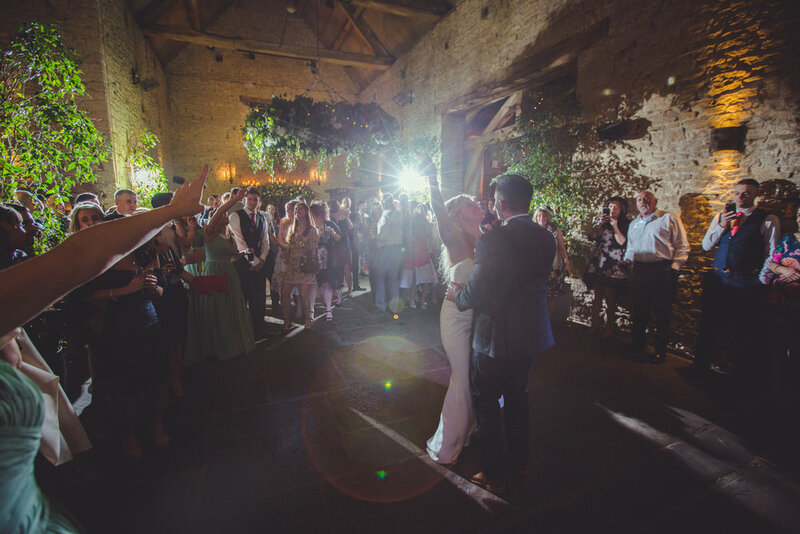 Have a look at the amazing photographs from the Day, by the wonderful Emma Gardiner... A huge Congratulations to Amelia & Dale! Wow! Where did that year go?! And what a wonderful, jam- packed, exciting one it was too! 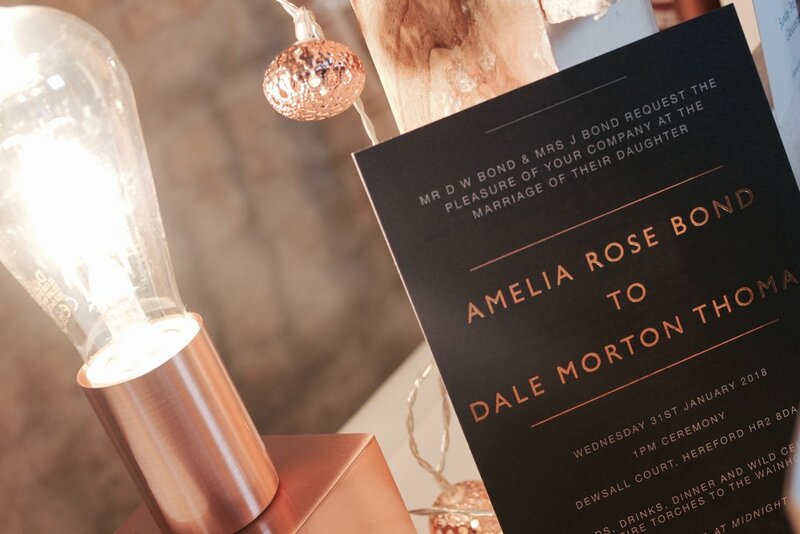 I've had invitations coming out of my ears, from rustic to glam and everything in between, I've designed and produced lots of different and unique day stationery, from do not disturb signs to huge welcome signs, and then there has also been a lot of business stationery on the go and new brands that I've been working with... It's been crazy! Did I mention that there has been several collaborative photo-shoots, wedding fairs, meetings and relationships formed with wedding suppliers and wedding venues AND a re-launch of the website too?! Oh and I've moved studios/ house and got a little fur baby too- Lewi, a very naughty miniature dachshund! Now at Retro Press, I can do Table Plans and Table Names on PERSPEX. It's different, unique and a service that you can't find just anywhere. 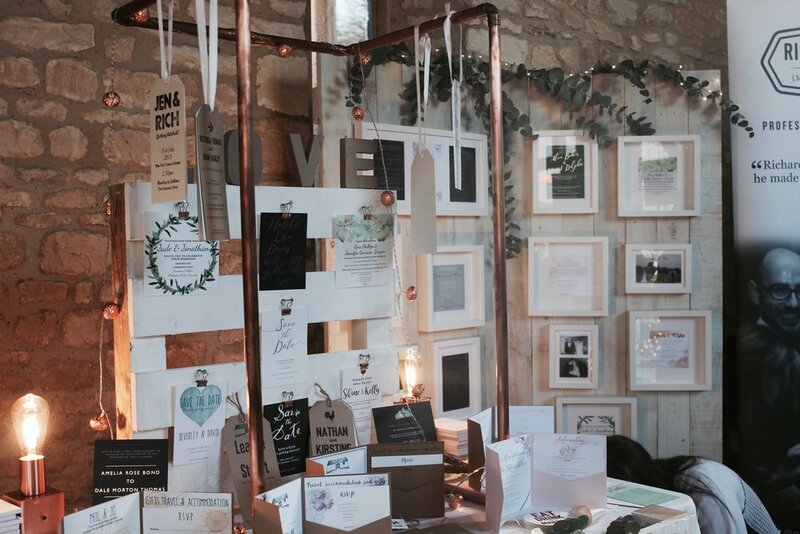 I would love to do Invitations on perspex... Maybe in 2018- any takers?! Logo design for new business Elm Tree Joinery based in Oxford; beautiful handmade, bespoke joinery service. The Bump to Baby Chapter is a company based in Cheltenham, specialising in Antenatal Classes and Hypnobirthing. Woof Woof Walkies... A dog walking company based in Paisley, Glasgow. Design of logo, new van and all clothing, including waterproof coats, hoodies and t-shirts. Logo design for the new Wedding Venue, Naas Court Farm. Based in Lydney, Forest of Dean- I can't wait to see the wonderful things to come out of this place in the next year. 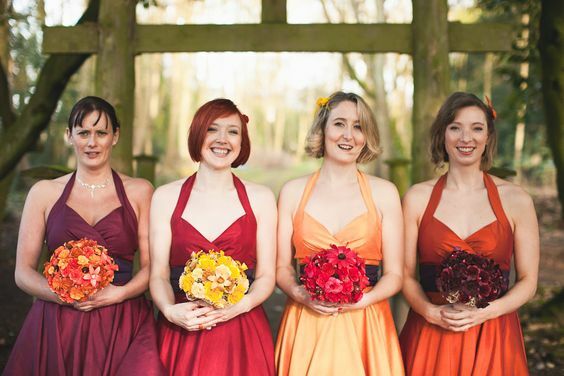 Featuring the wonderful Aqua Flowers, Little Cheltenham and The Barn at Upcote. 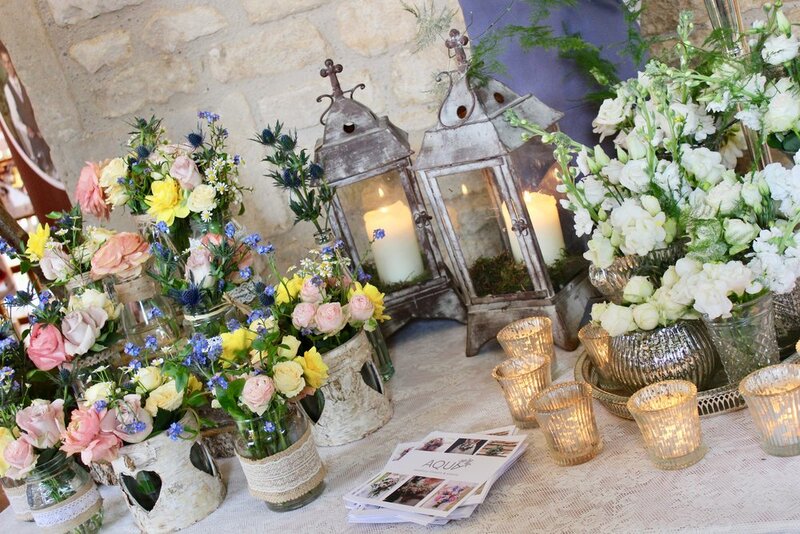 A beautiful venue in the lovely village of Eckington (near Bredon). 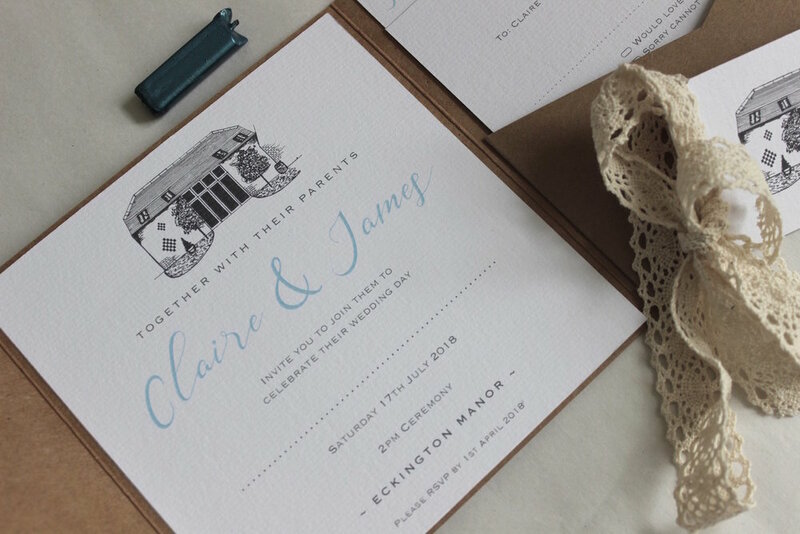 I have collaborated with the team at Eckington and created two different bespoke wedding invitations. Looking forward to working more with them in 2018. A small collection of Wedding Invitation Suites designed to make it easier for my clients. 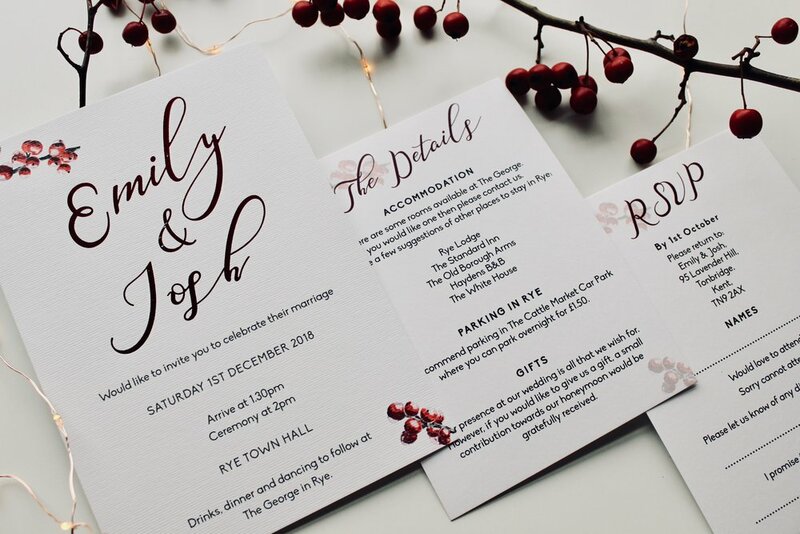 These are tailored to suit my clients, colours, fonts, wording, etc, thus still very much personalised; it's not like ordering off Etsy or NOTHS for example. 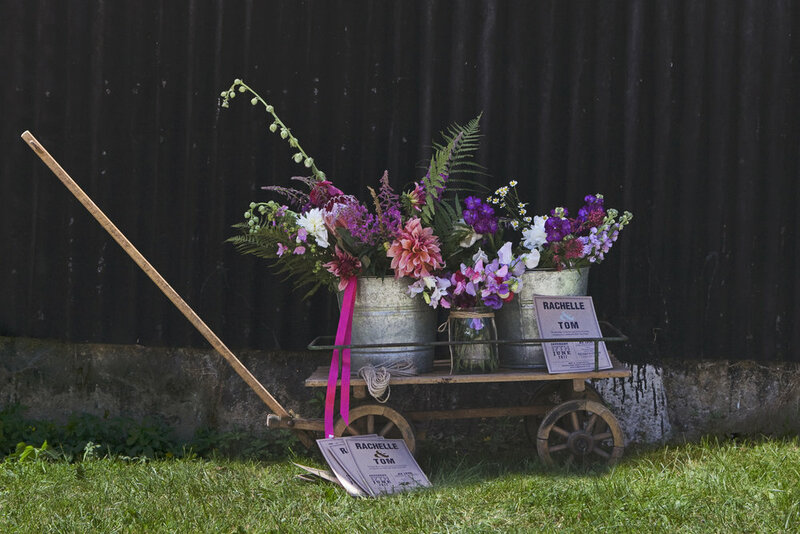 Hopefully, there is something for everyone, if not, we go down the Bespoke route. Have a look for yourself. Well, it's exhausted Lewi out!! Bring on 2018 I say! Looking forward to some new challenges, meeting lots of new brides & grooms to be, suppliers, venues and everything that life throws at Retro! Don't hesitate to get in touch. So with the Christmas countdown being very much ON, it was a fantastic opportunity to work with Jo from Aqua Florist on a little festive inspired photo shoot. Jo has been busy busy busy with weddings all year round but at Christmas she finds the time to make these beautiful wreaths, which are filled with bows, ribbons, dried fruits, pine cones and they are just exquisite. I went to visit her at the Aqua Flowers HQ along with my little helper Lewi (the sausage dog- who actually didn't help at all!!) and had a full on day of fun, Christmas and photos! 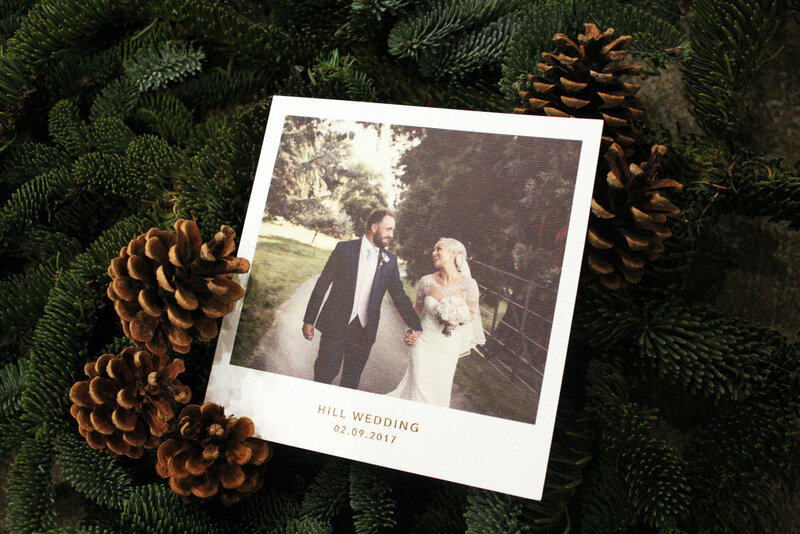 With Christmas Weddings getting more and more popular, it's a crazy time here at Retro Press- what with doing bespoke Christmas card orders to Wedding Stationery and I just love it! 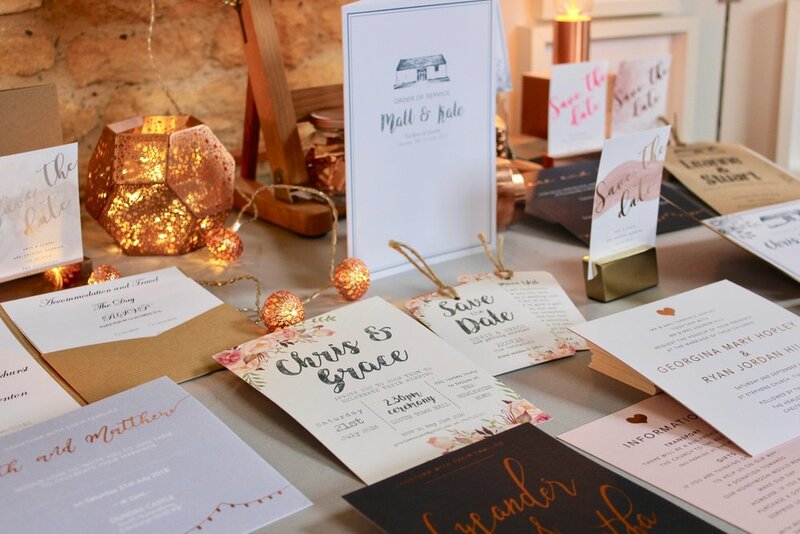 When you think of Christmas inspired wedding stationery, think deep, warm, dark colours with touches of metallic tones running through them. 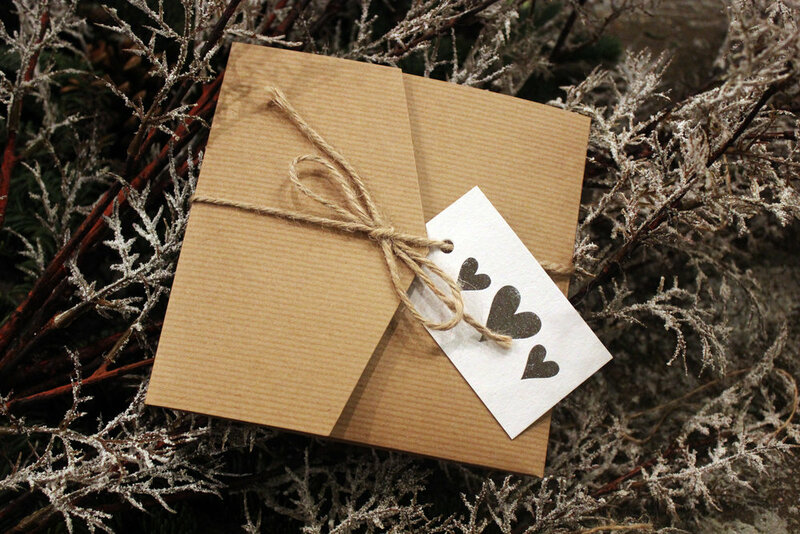 Colour combinations that work very well together: Emerald Greens & Golds, Dark Greys & Silvers, Deep Reds & Golds, Navy & Rose Golds and actually the Brown Kraft paper is very indicative of this Christmassy feel. Enjoy the photos and please do get in touch, I'd love to hear from you! Wow! 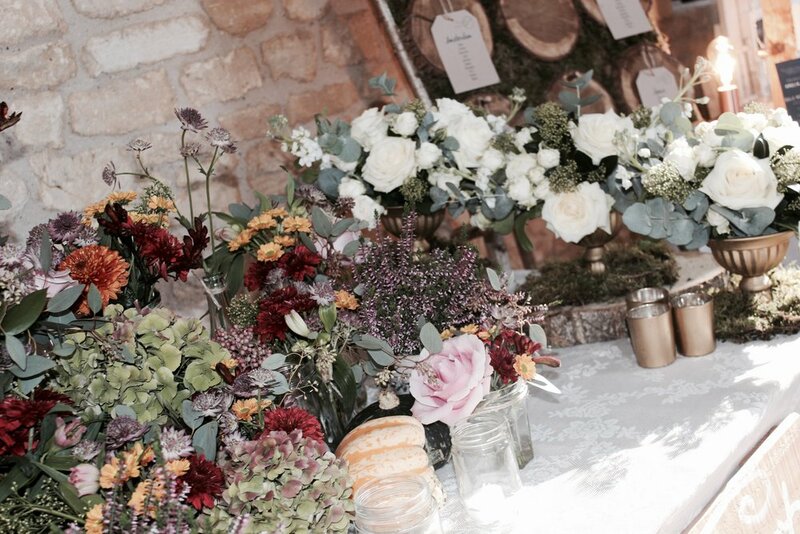 What a fabulous day it was; the Autumn Wedding Fair at the Barn at Upcote on Sunday. 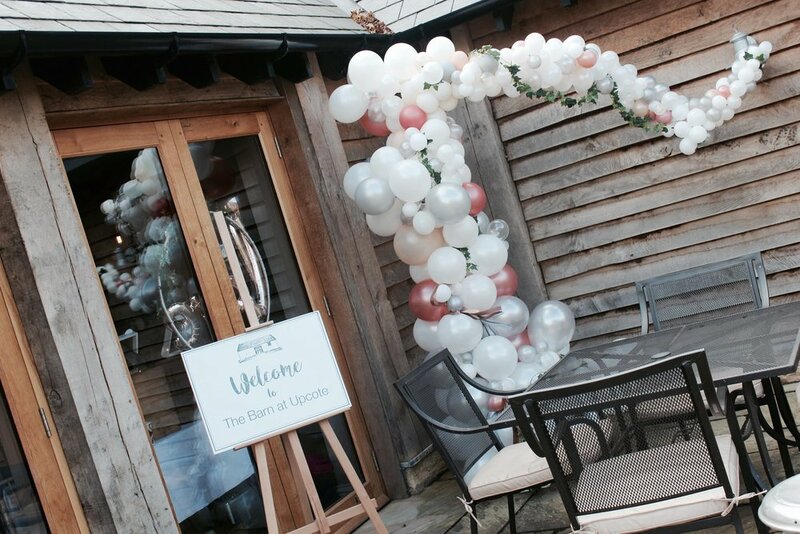 The rain held out, the chickens were about, the suppliers were out in force and of course, lots of wonderful Brides & Grooms to be flocked to the venue for this wonderful event. The atmosphere was vibrant and just in general, it was great to be apart of, as ever. Retro Press had the honour of designing all the artwork for the Fair, including the Invite, the massive banner (at the top of the road) and the Welcome sign. 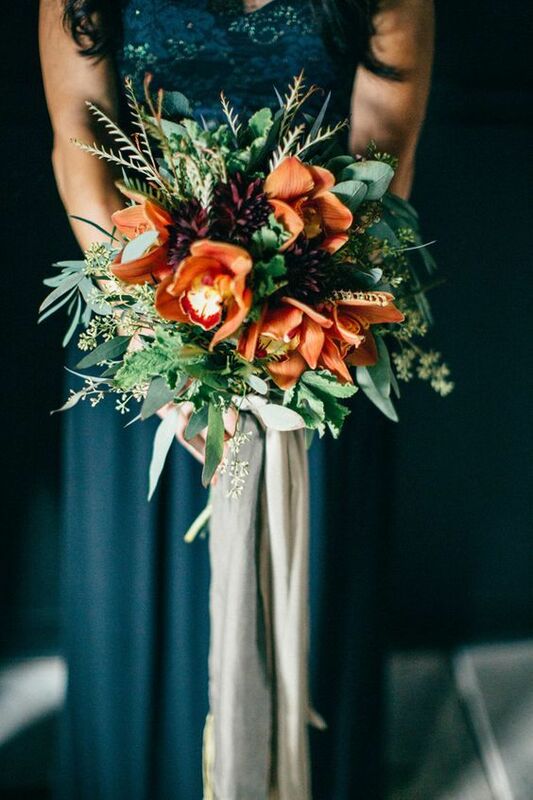 As with a wedding itself, it's nice to keep it all consistent and in keeping with the Barn, but also allude to the Autumnal theme, in which they created very well. Here are a few pics from the Retro stand, the general busyness of the fair and the flowers are courtesy of Jo from Aqua Flowers... ENJOY! And don't hesitate to get in touch with any questions you may have. Please check out the supply list at the end of this post. 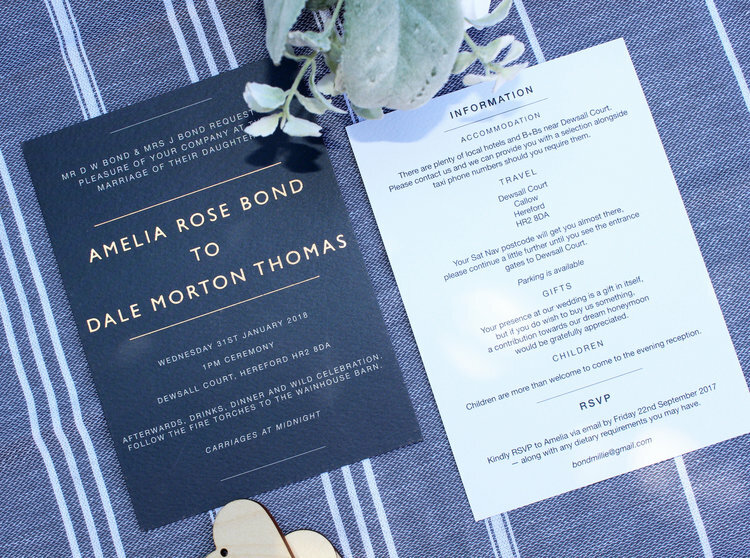 Over the past year, I have done designed quite a range of bespoke Navy inspired wedding invitations. 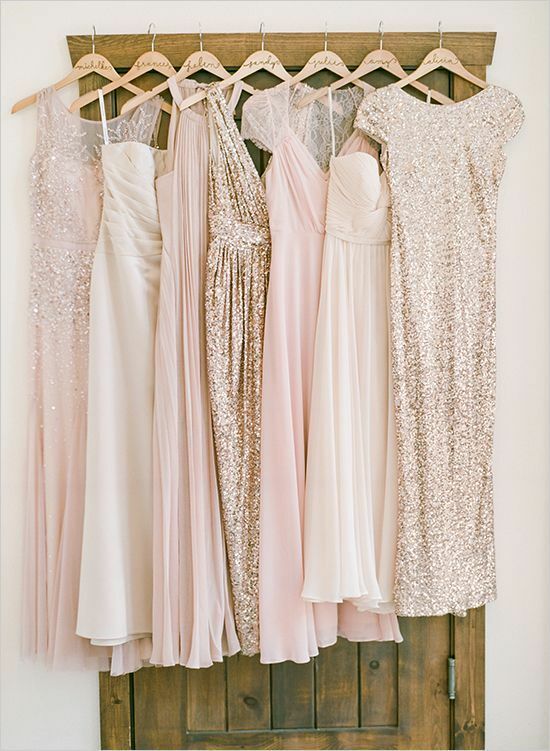 They have all been different, with varied styles and finishes; it just depends on your wedding day and what matches you. Please see have a look and get in touch for your perfect design. 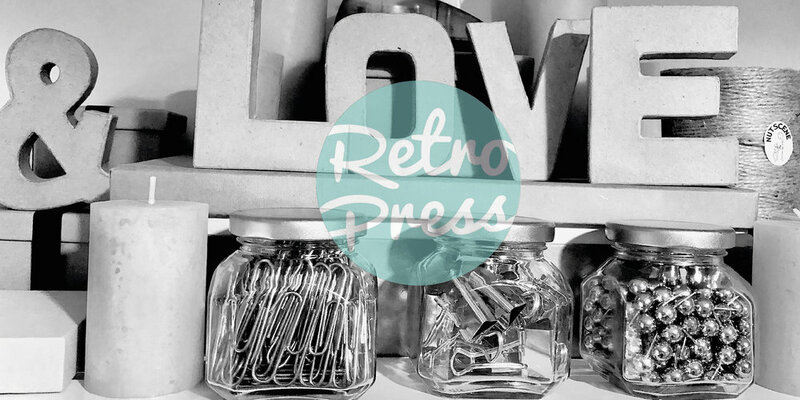 Here at Retro, I spend most my life in the studio, emailing, designing and packaging. The other 10% of my time is meeting my lovely clients and a lot of trips to the post office! When I've been working with a bride for months and usually from the very beginning, I cannot tell you how amazing it is to receive pictures from their wedding day and to see everything I have worked on in the studio come together and contribute in making it such a special day. So with this particular bride, the journey started with her bespoke wedding invitations- please see below. 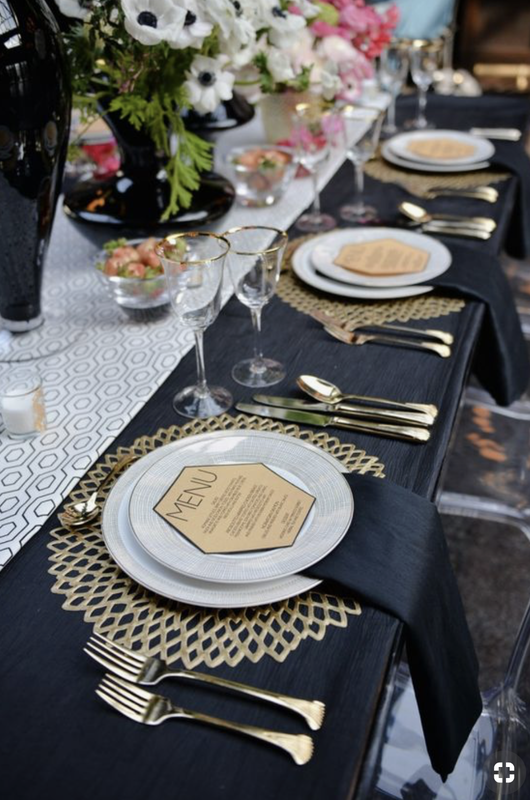 The theme was classic with a modern twist and sticking to the chosen colour scheme of Navy, Grey & Silver tones. 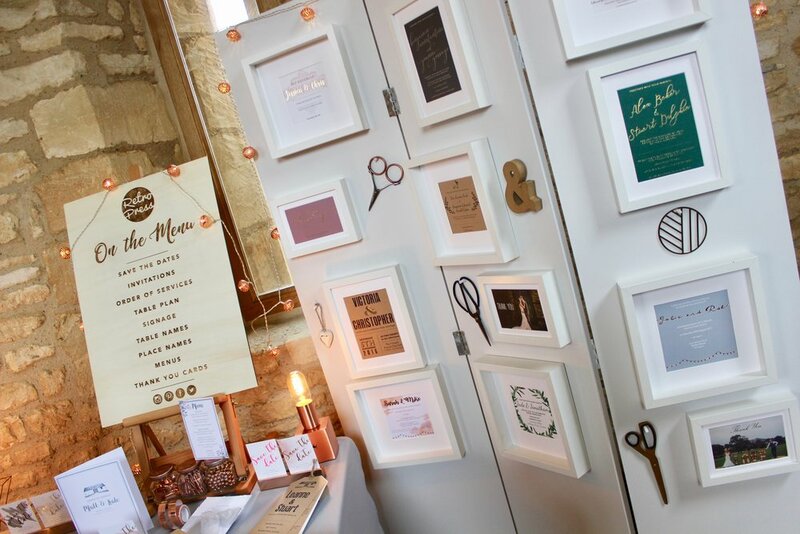 The couple also wanted to relate the invitations to the glorious building, Ashton Court, in which they were getting married in- see image in the middle of invites. 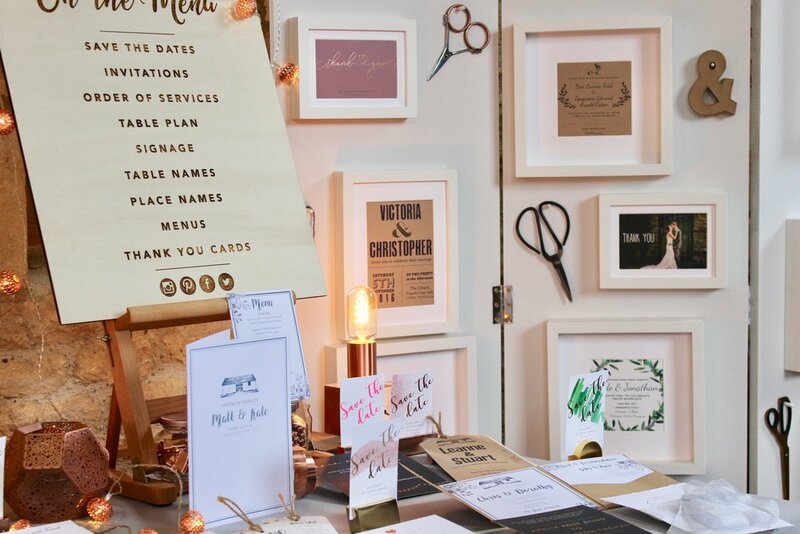 Retro Press designed and created: the Order of Ceremony cards, Table Plan, Menus, Name Tags, Table Cards and of course the invitations. It's been a pleasure from start to finish. Enjoy!